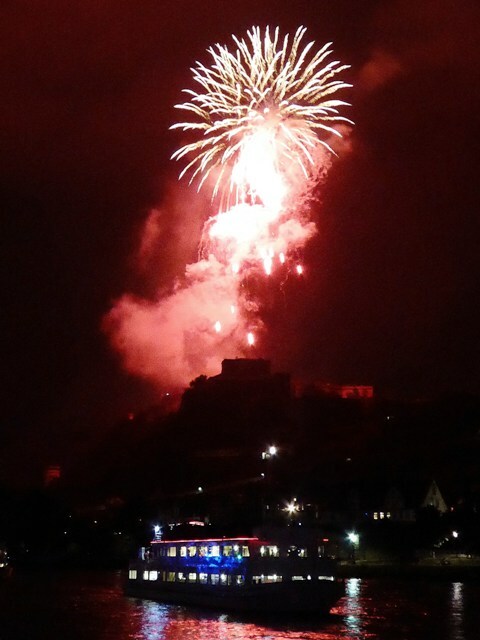 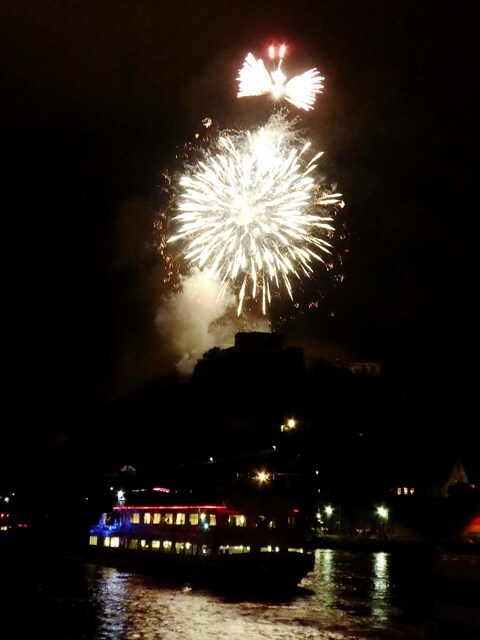 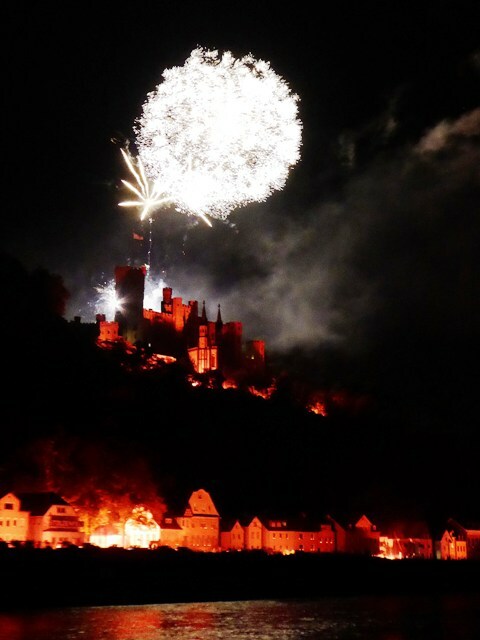 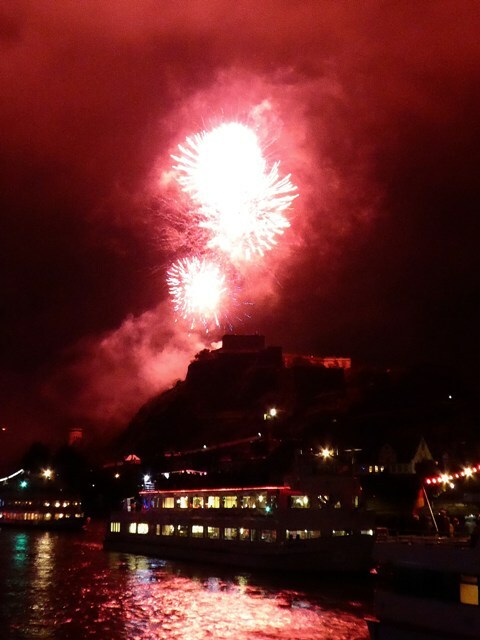 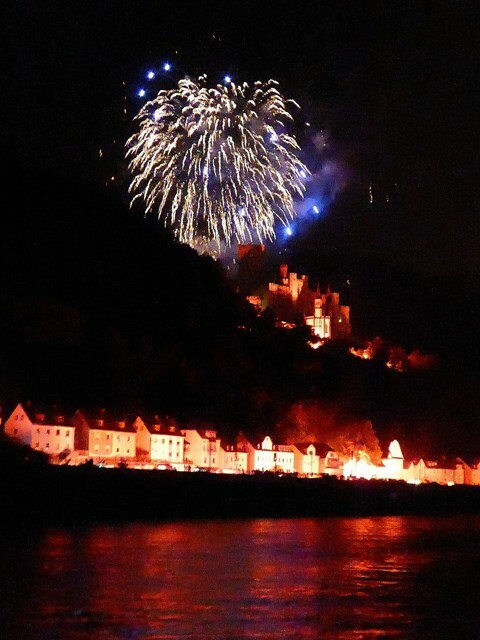 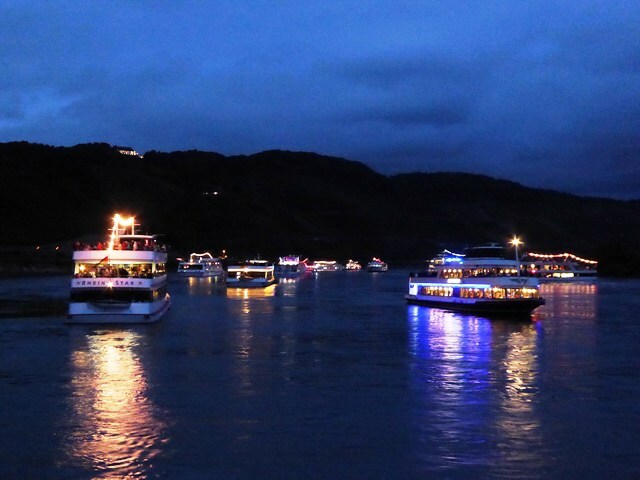 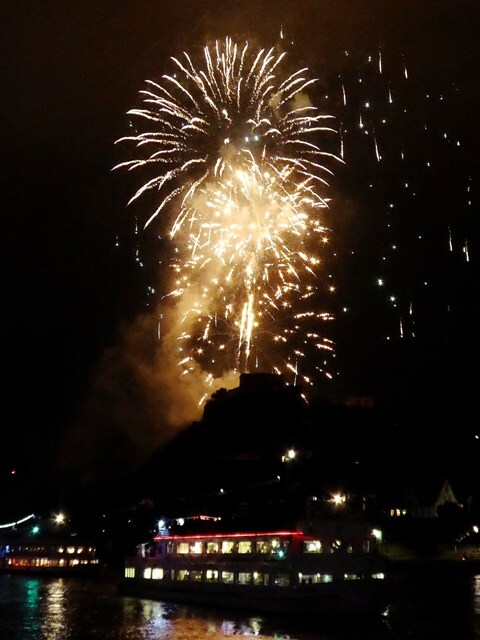 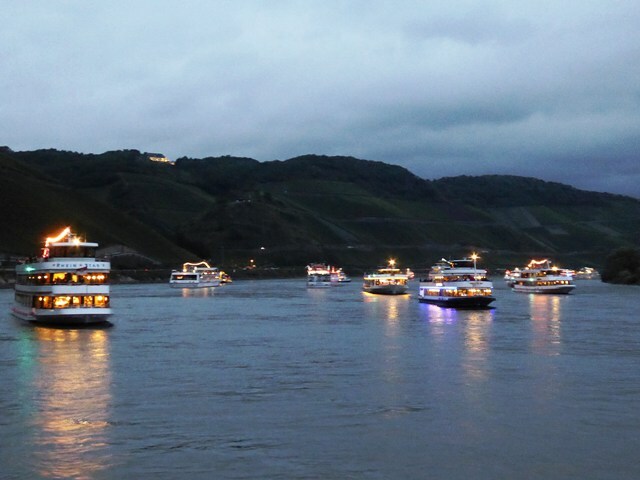 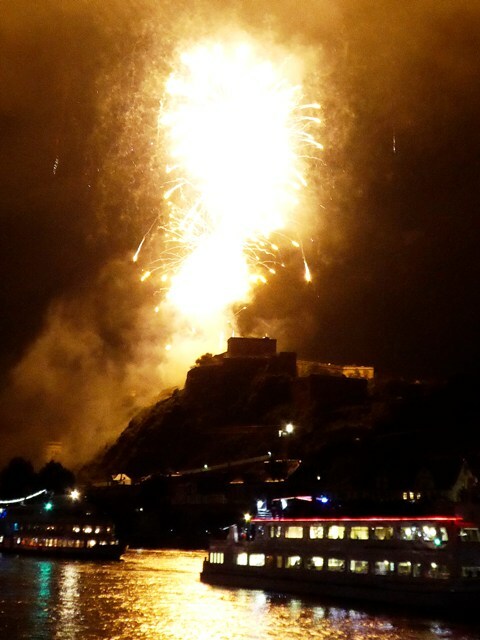 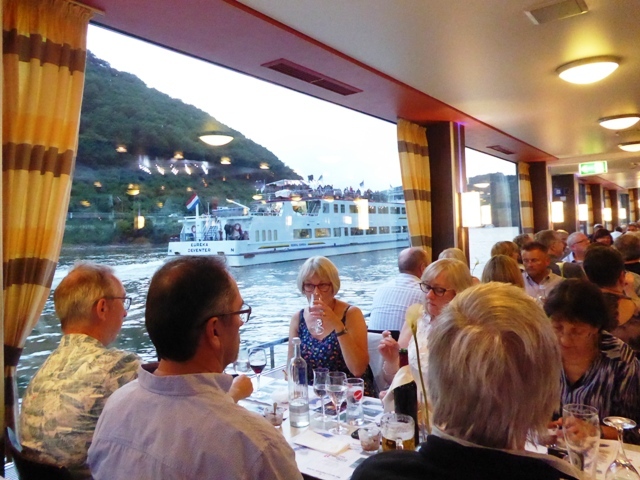 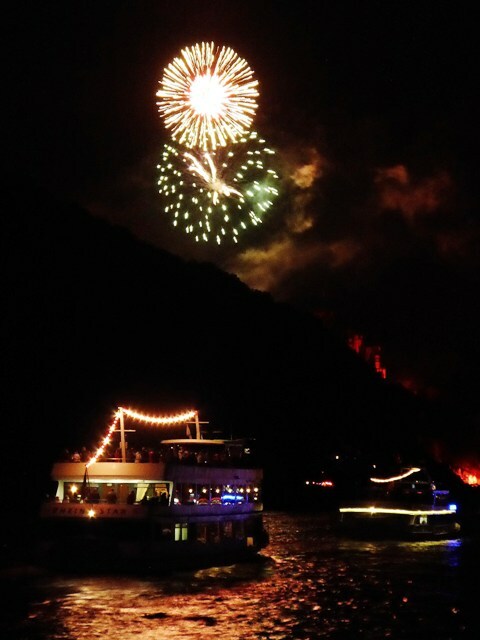 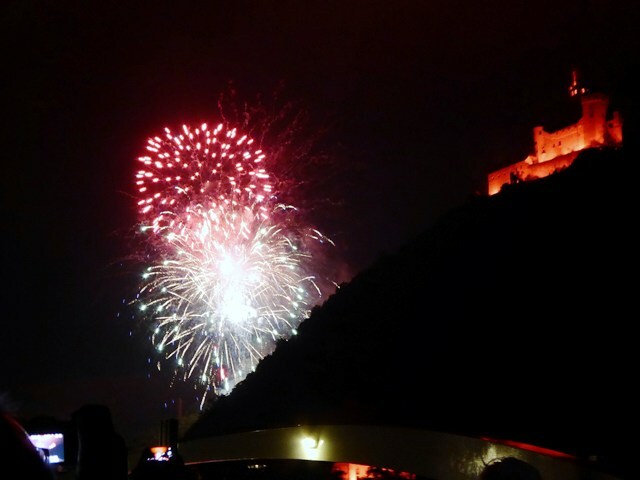 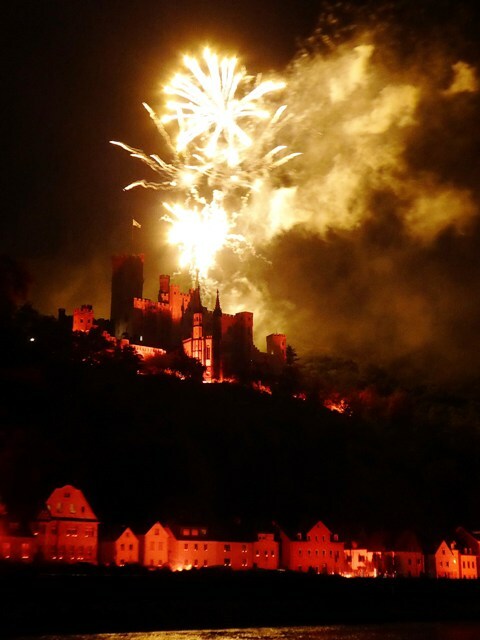 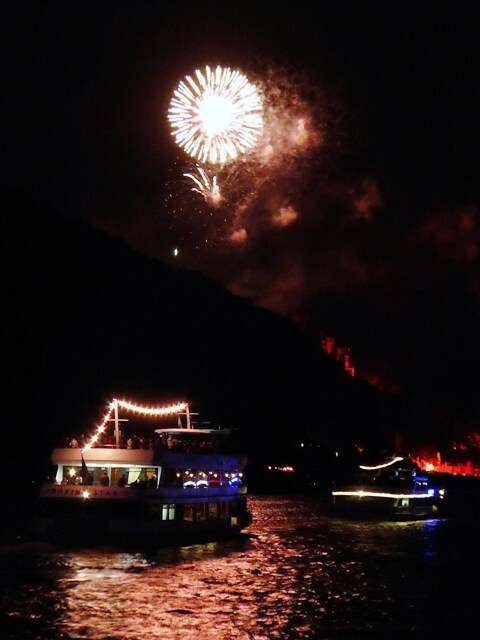 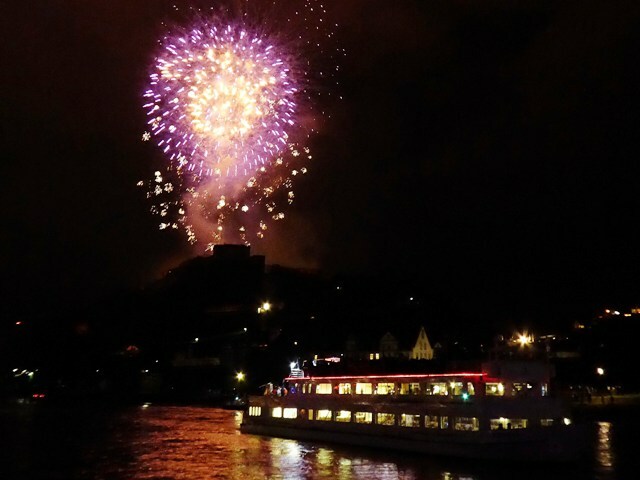 The fabulous Rhine in Flames – a highlight every year. 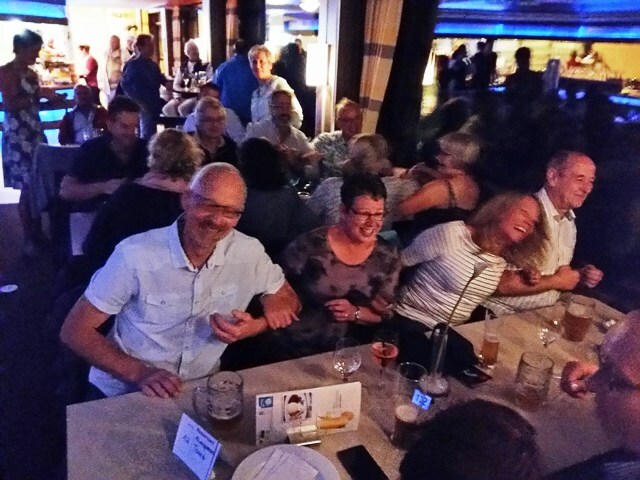 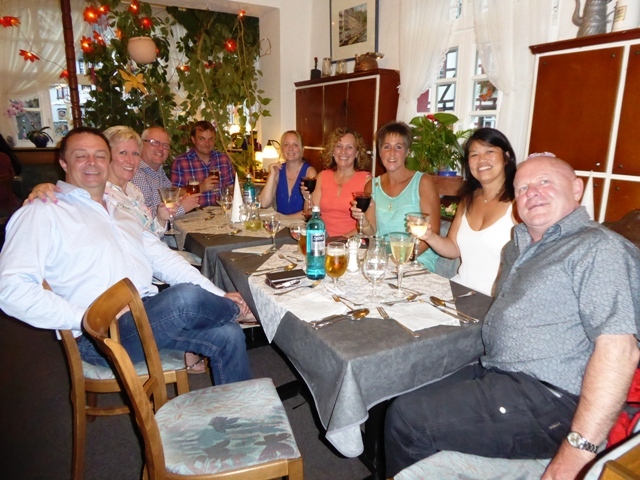 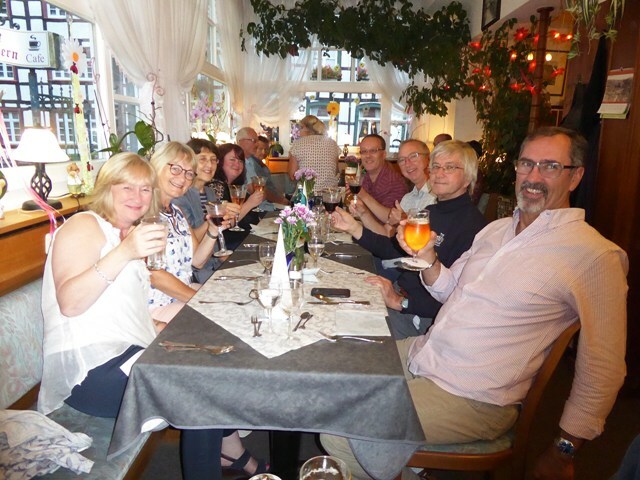 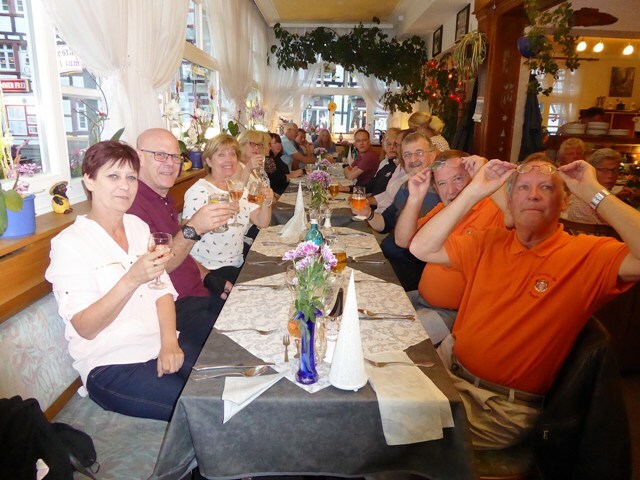 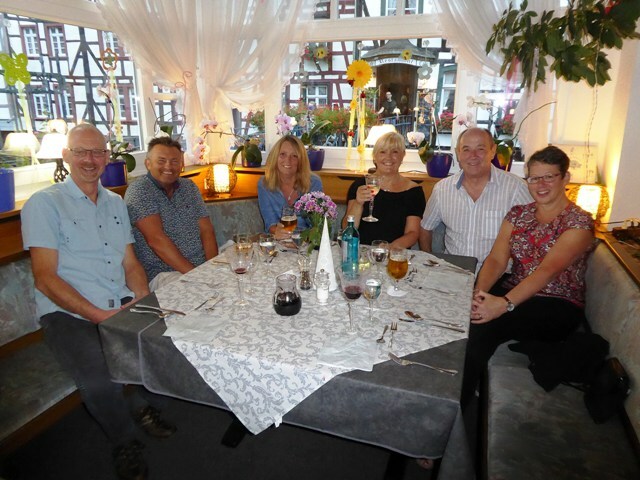 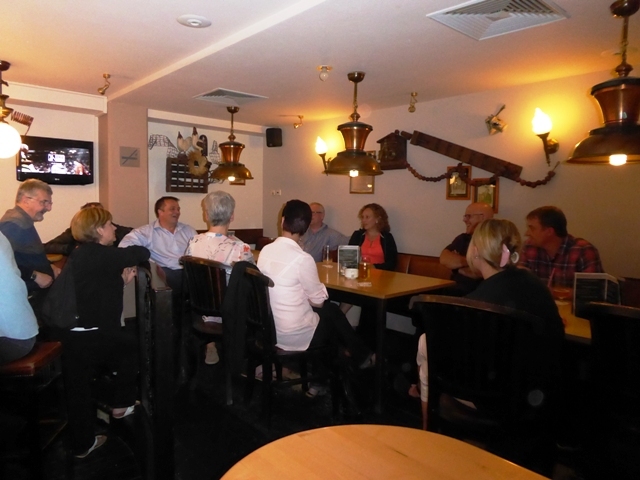 The group on our last night in Germany. 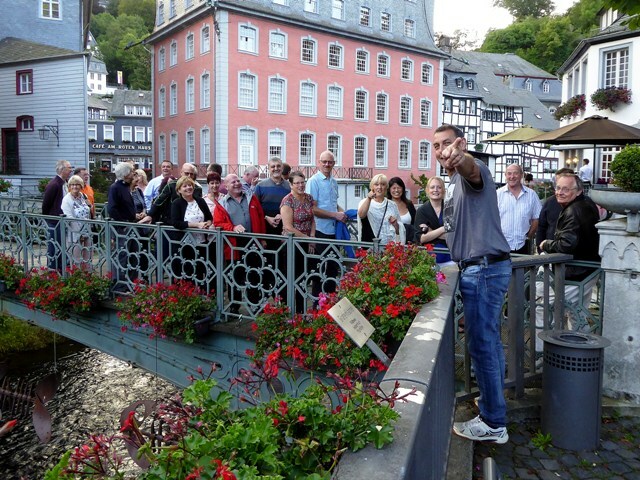 Thanks very much, once again a fantastic tour! 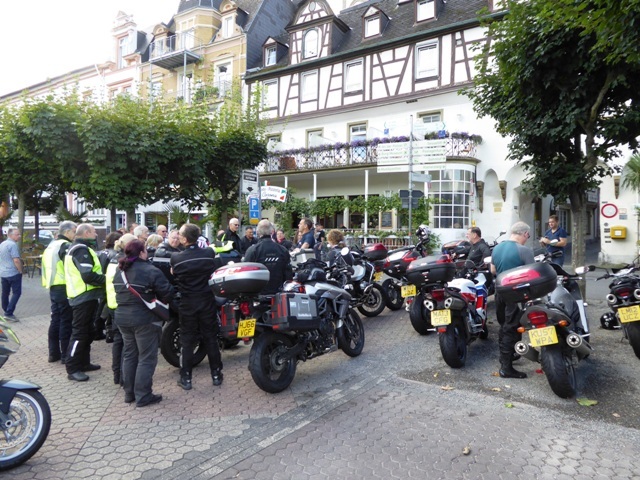 As ever, superbly organised, travelling on some fantastic roads, seeing beautiful scenery and staying in excellent hotels. 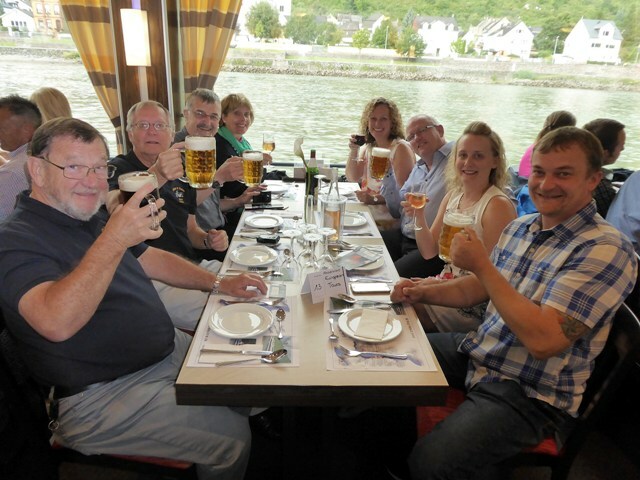 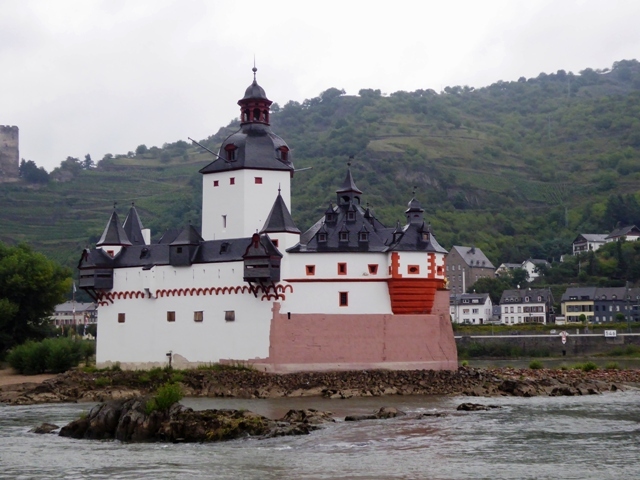 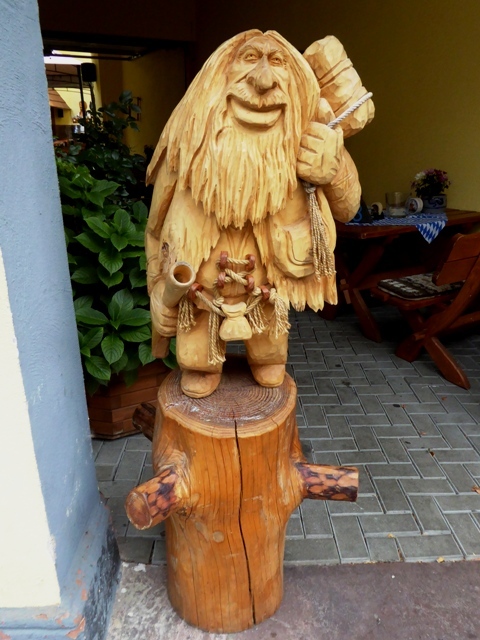 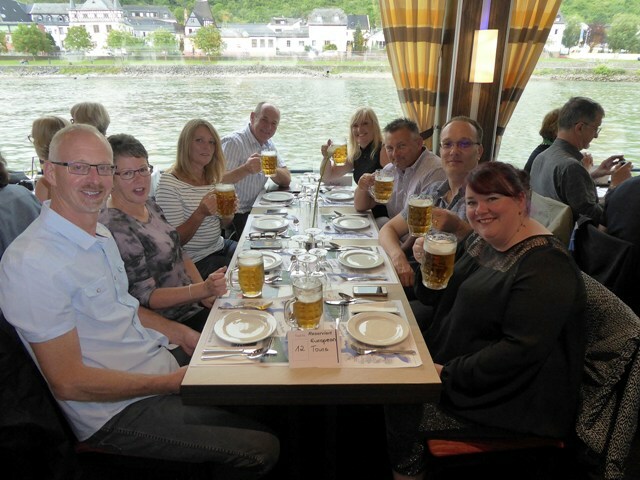 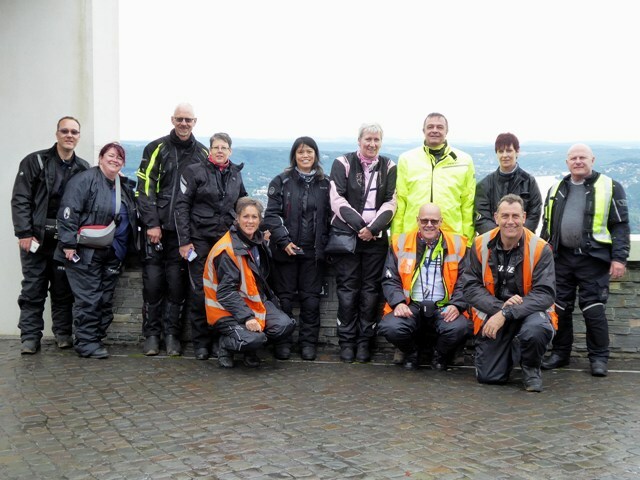 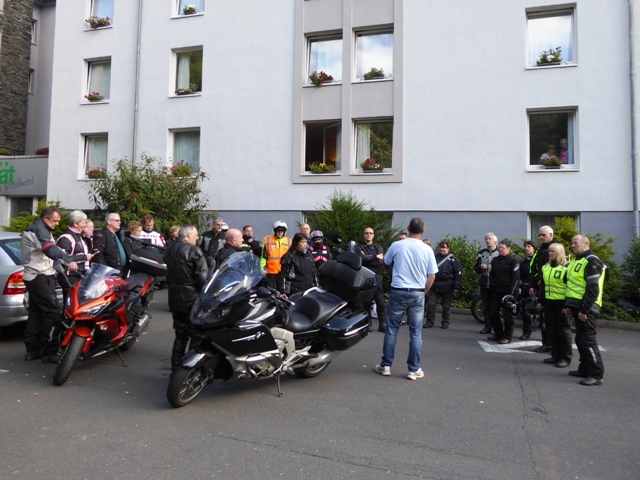 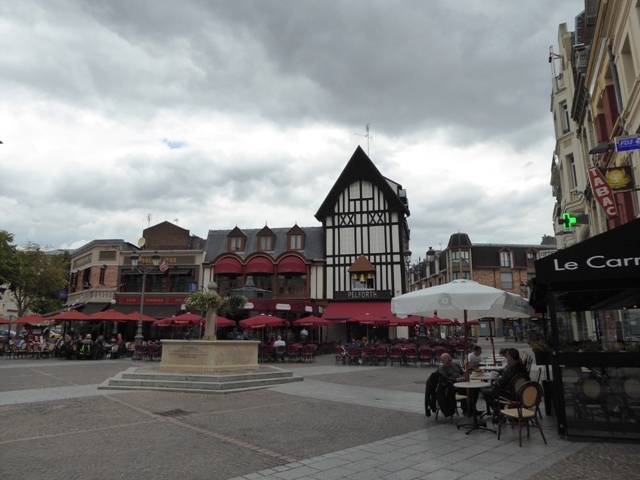 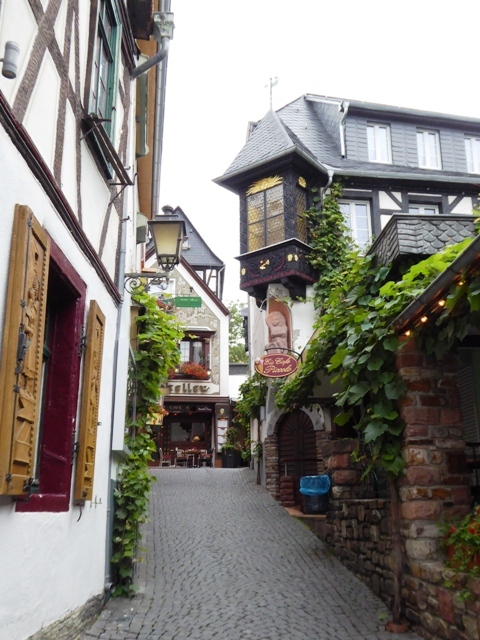 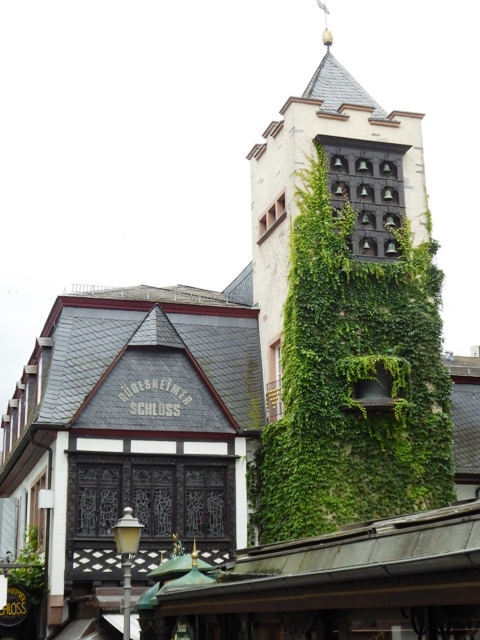 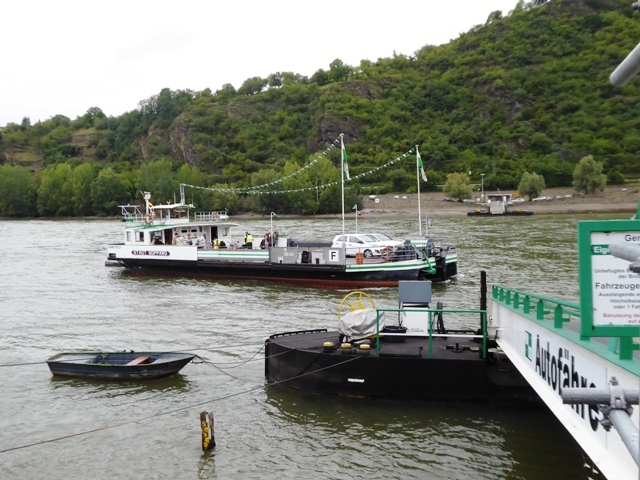 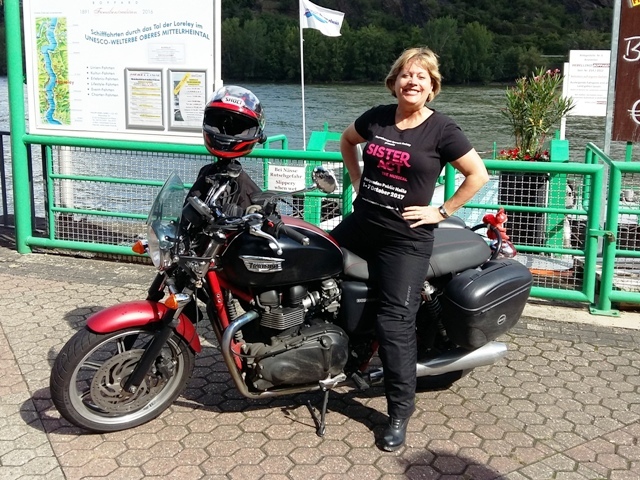 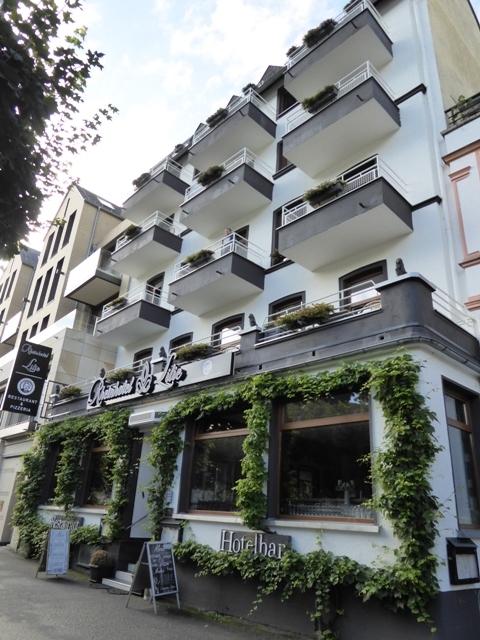 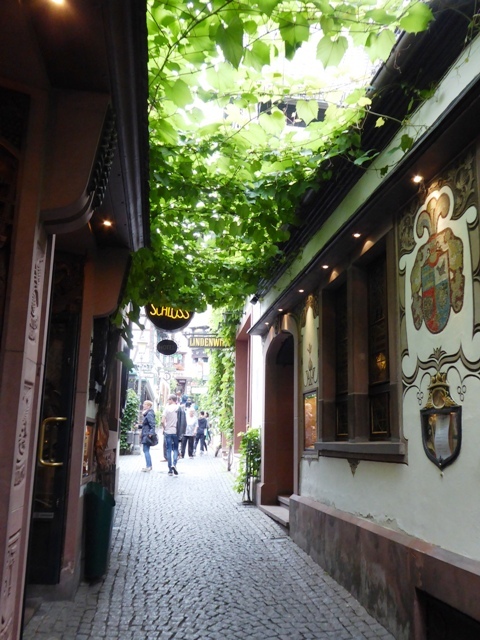 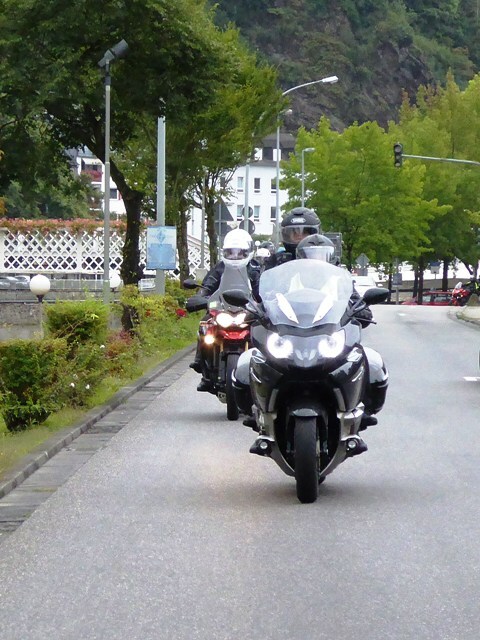 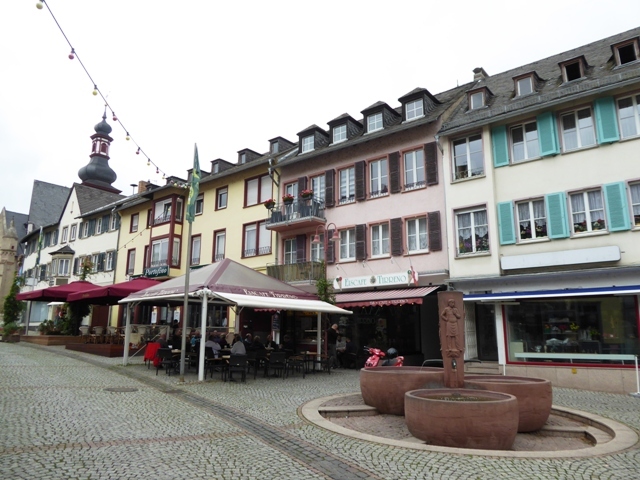 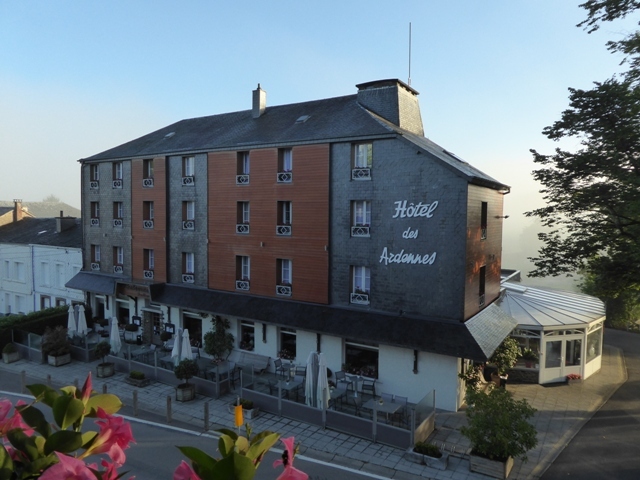 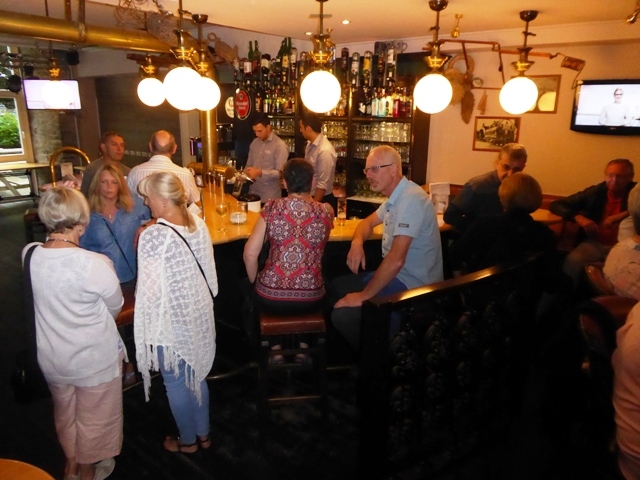 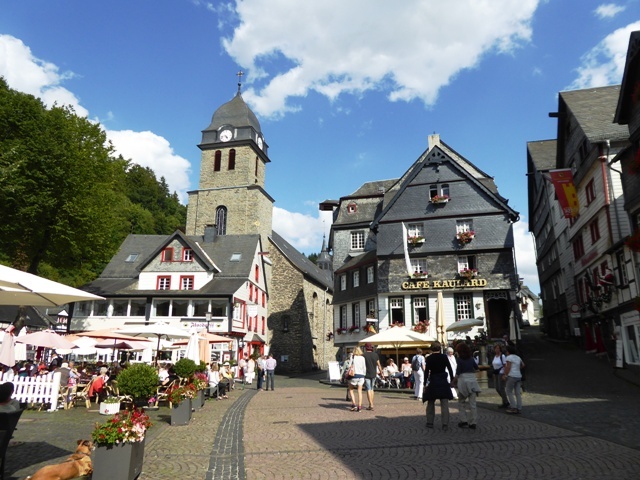 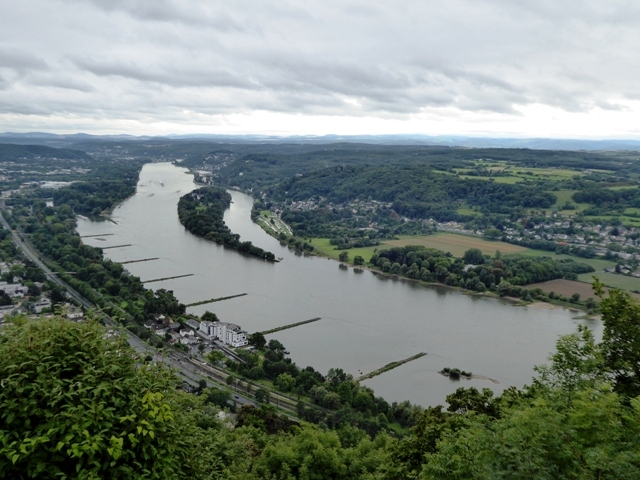 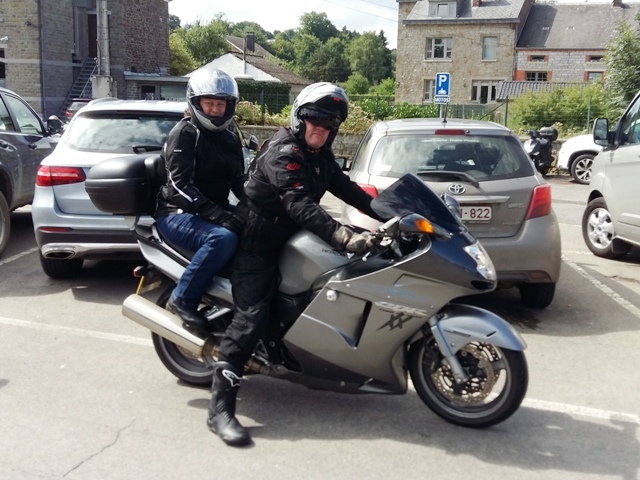 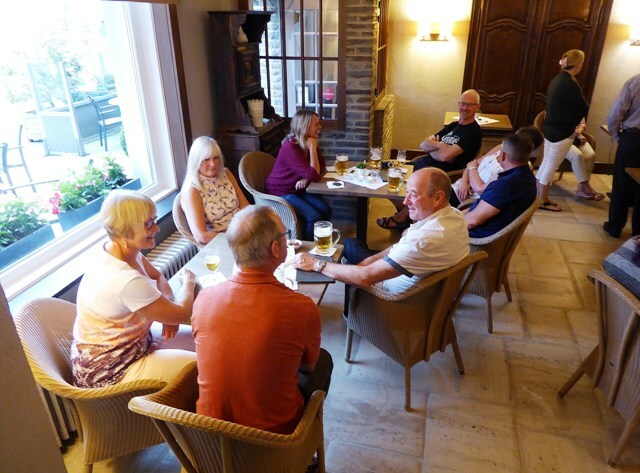 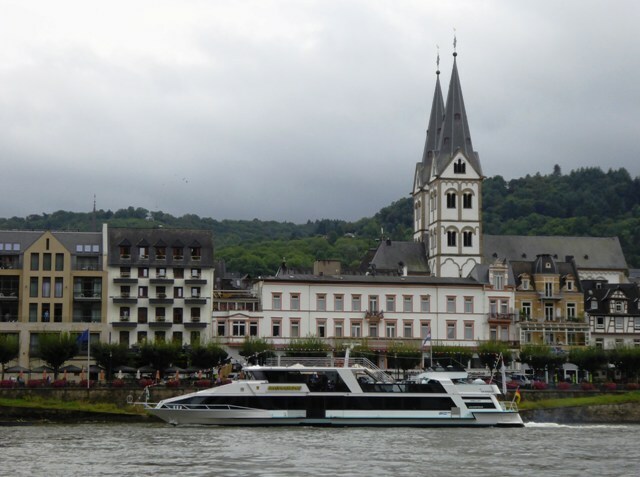 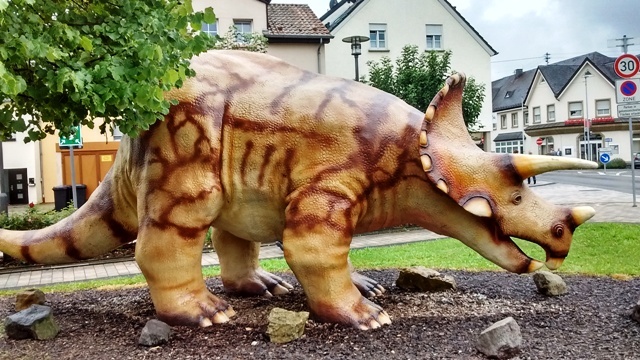 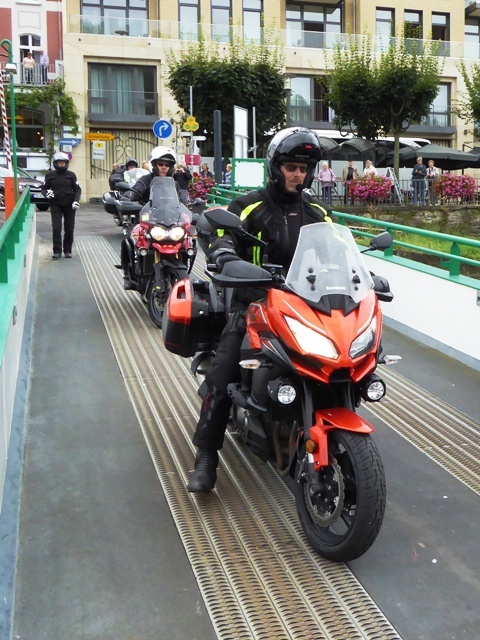 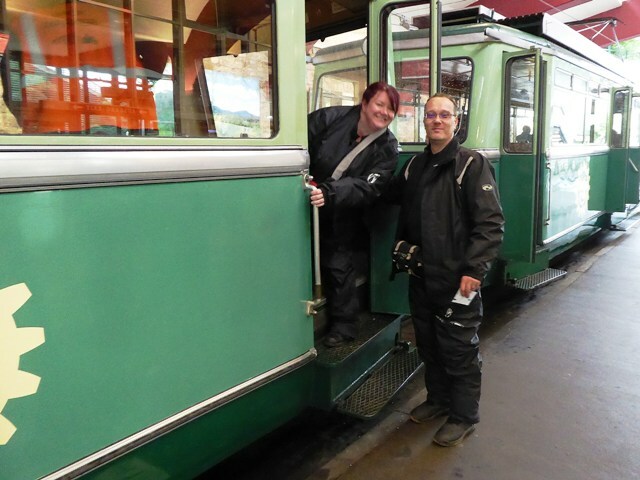 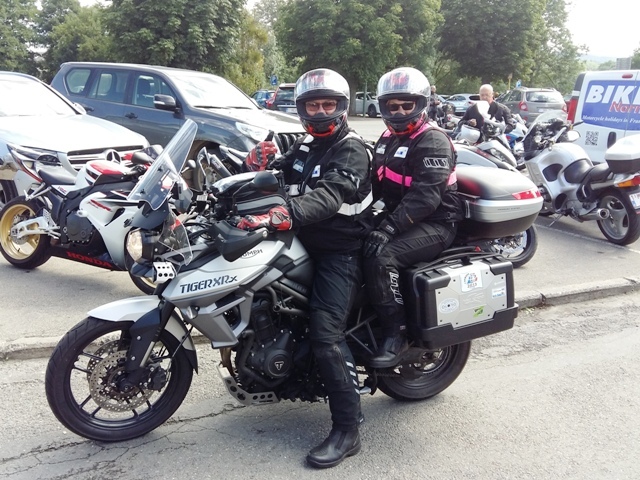 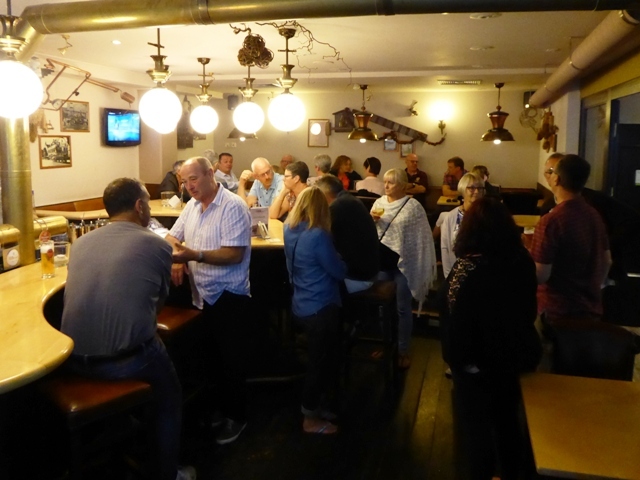 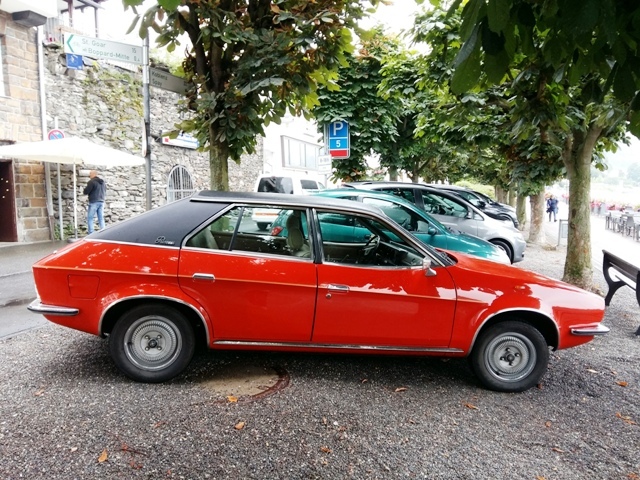 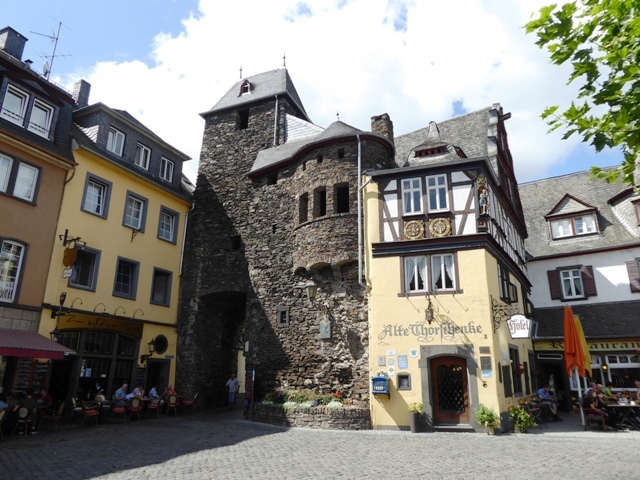 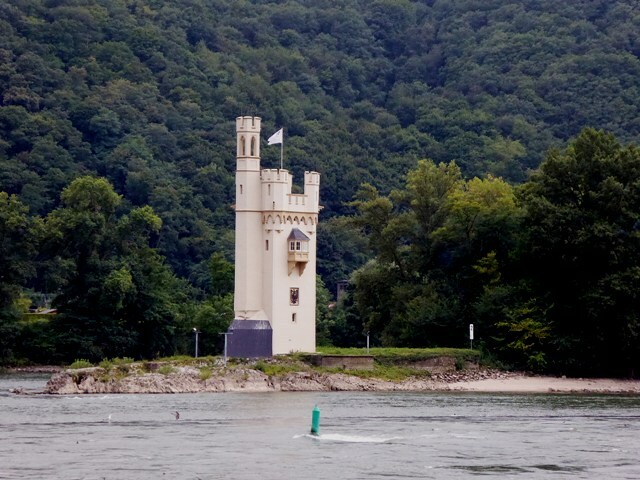 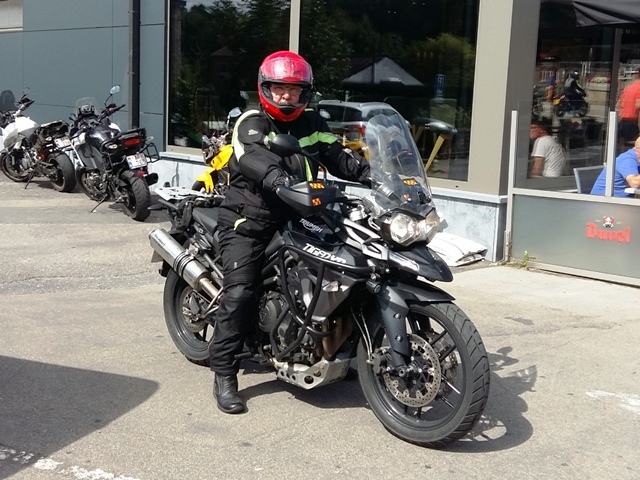 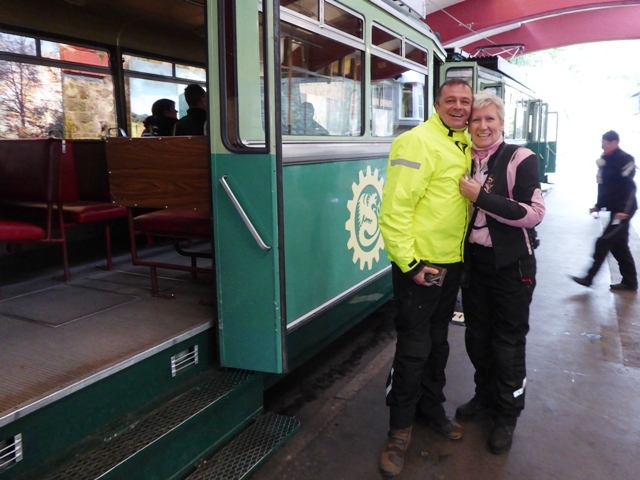 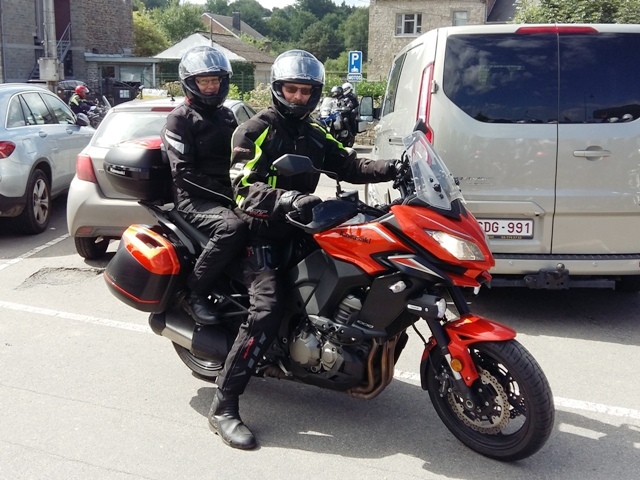 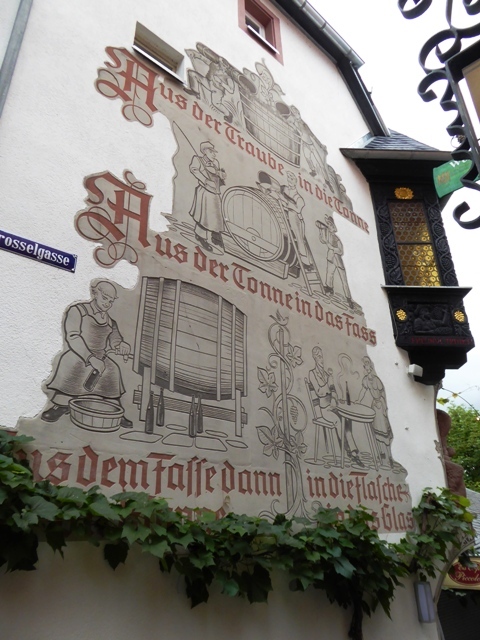 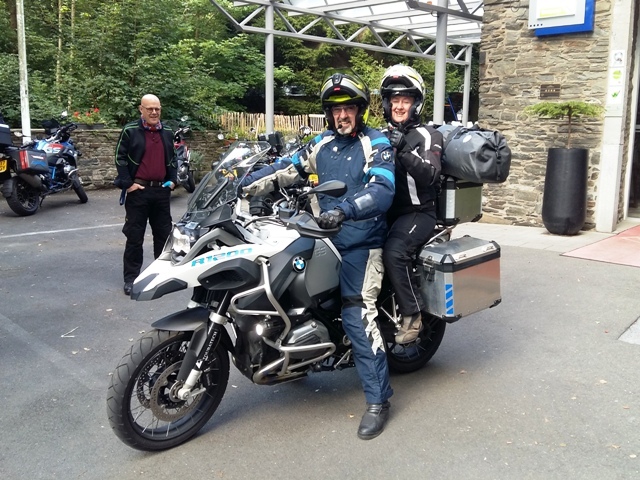 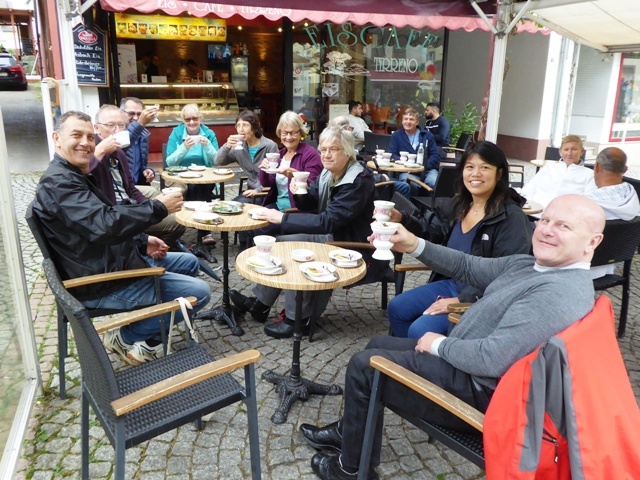 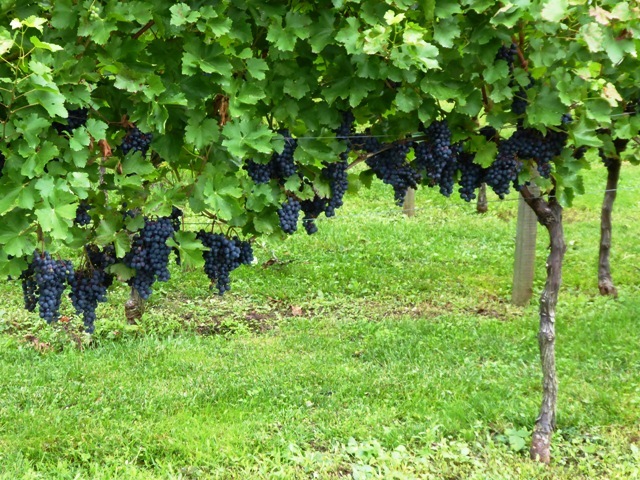 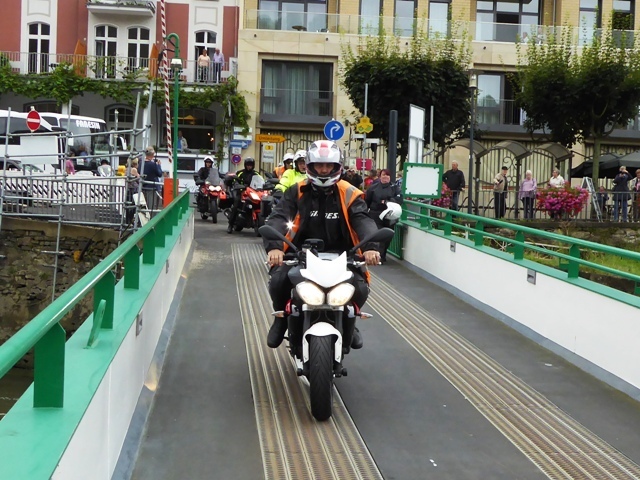 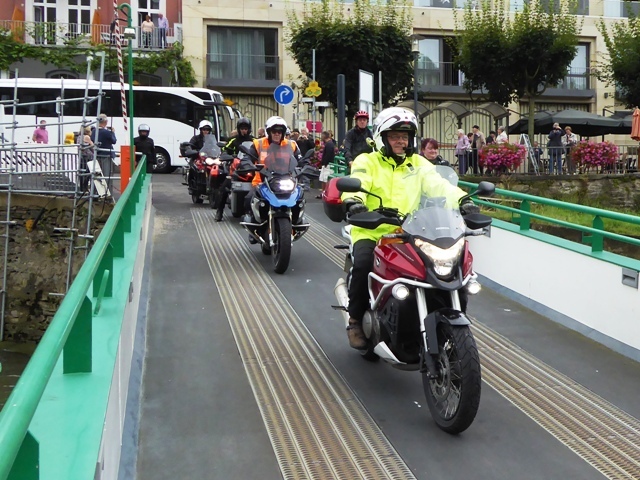 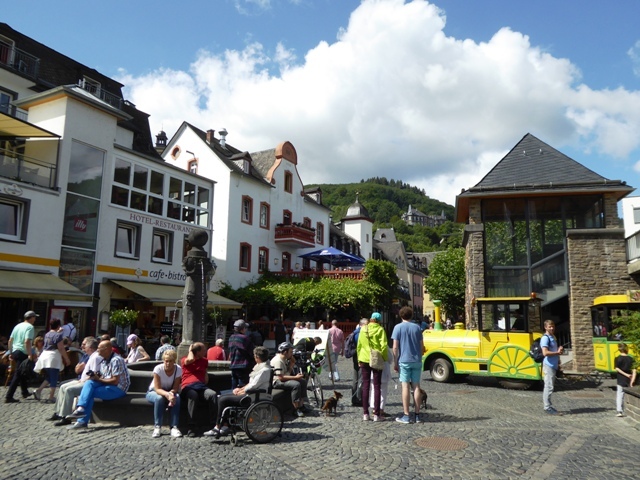 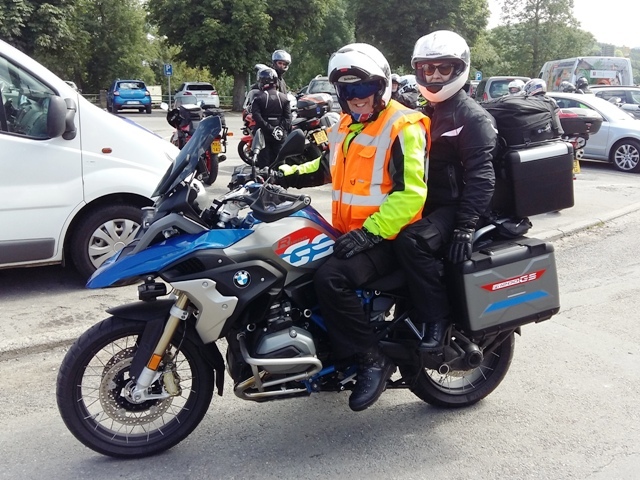 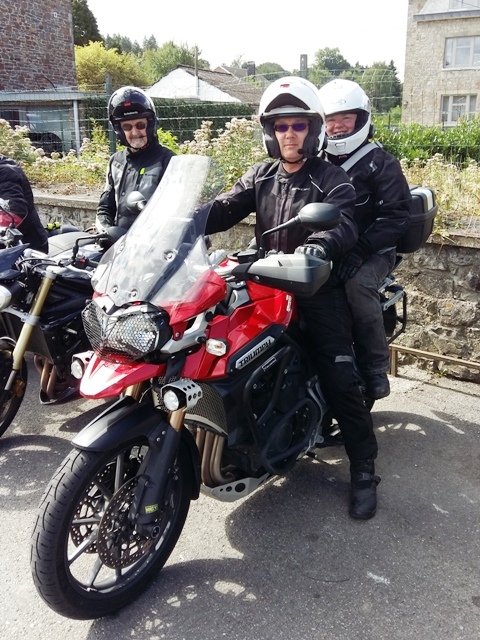 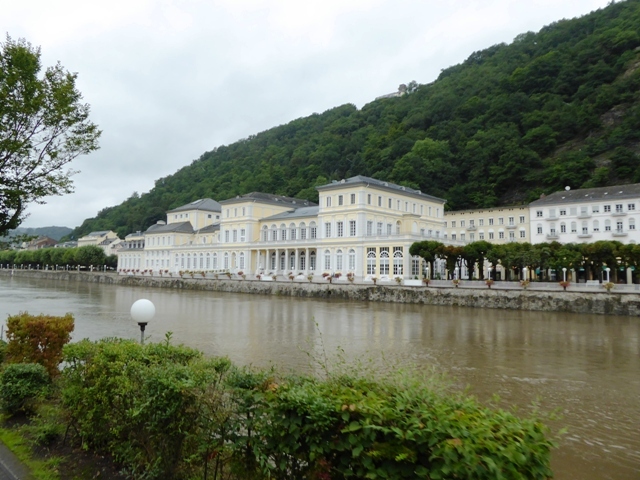 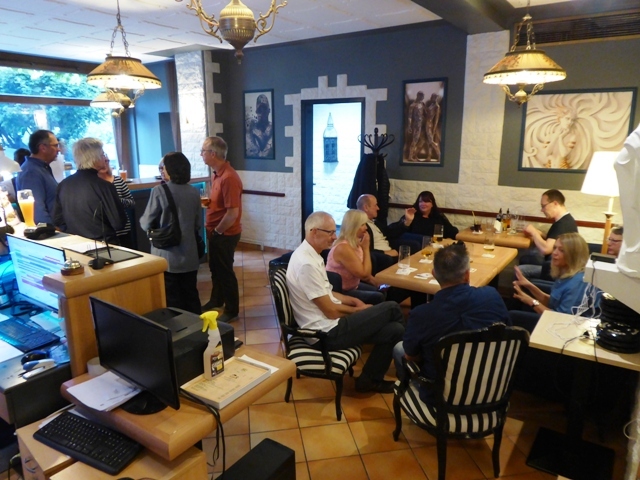 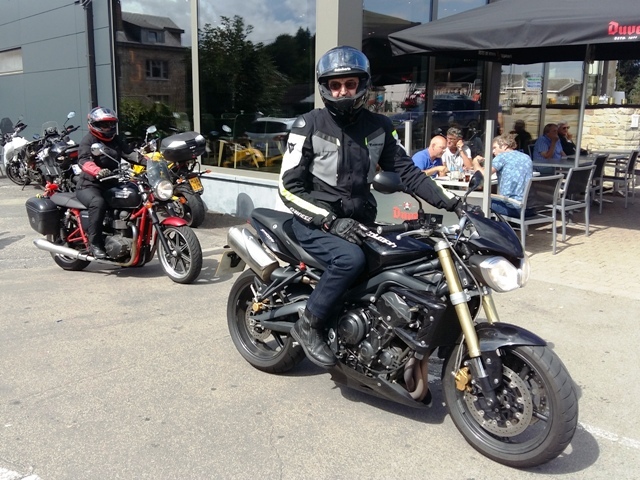 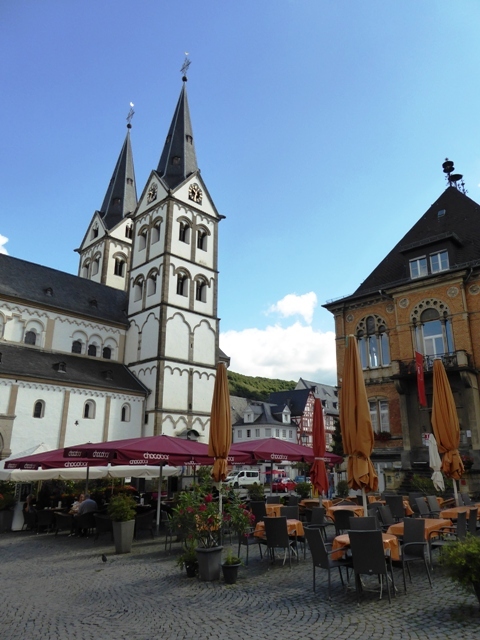 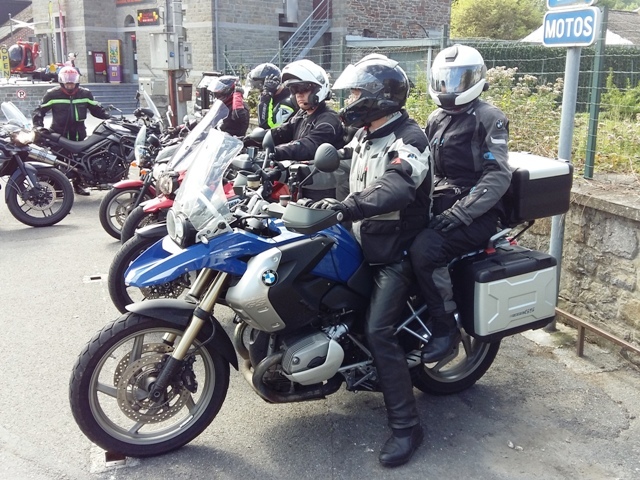 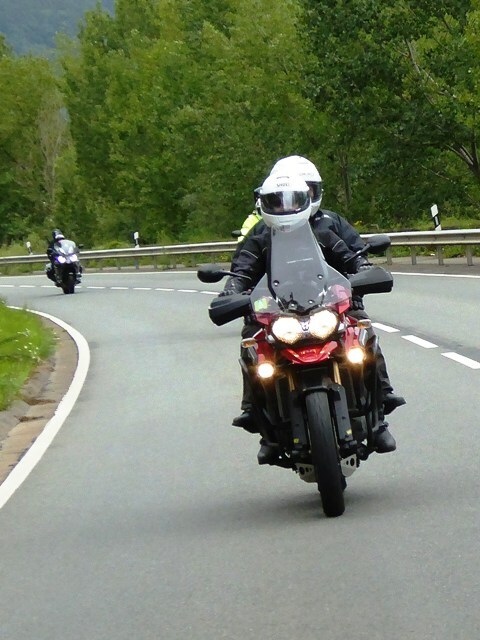 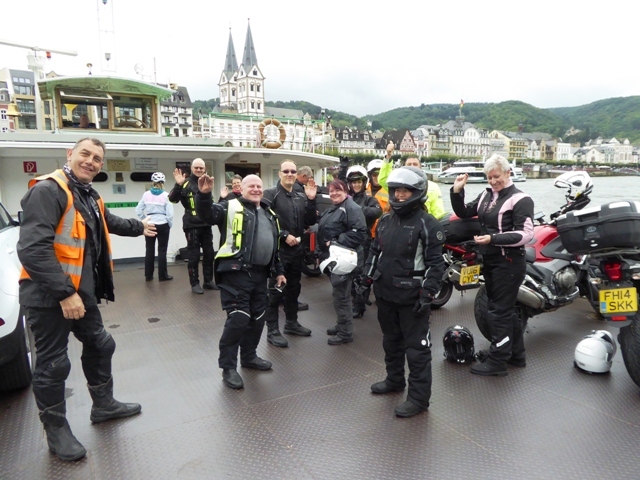 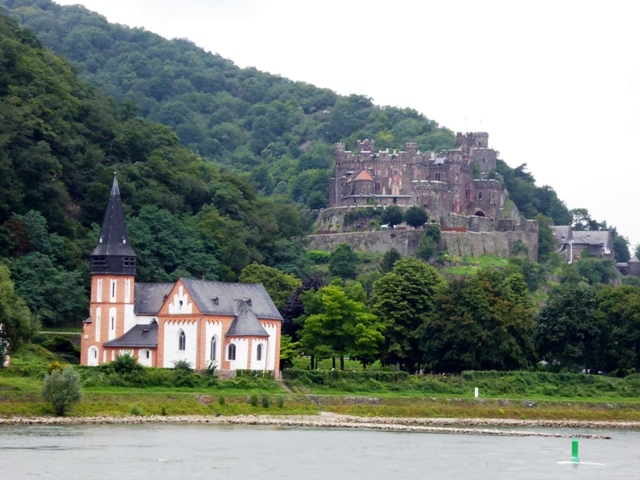 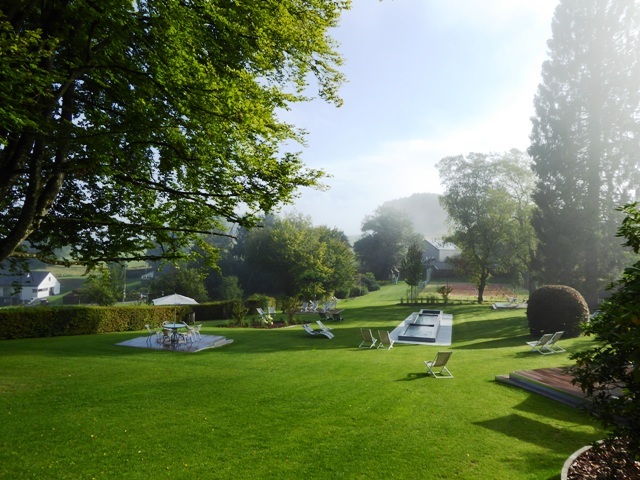 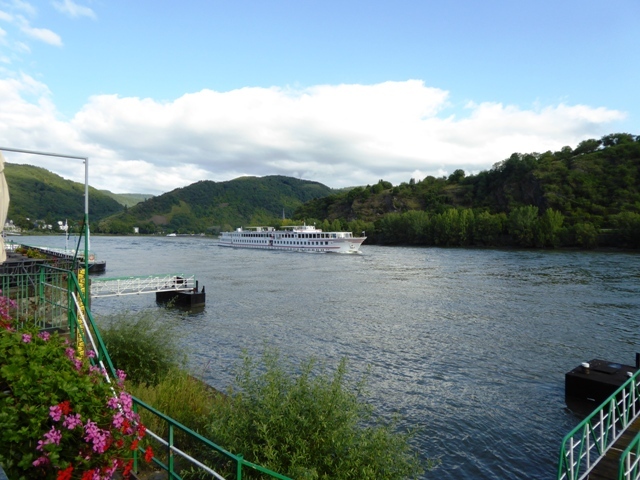 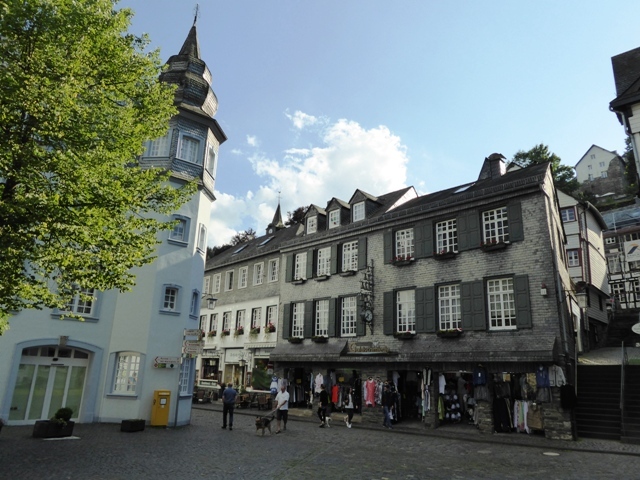 It’s interesting that there is much less emphasis on riding than on your other tours but it’s none the worse for that – it was great to be able to spend more time in one place, as Boppard and the surrounding areas are very picturesque. 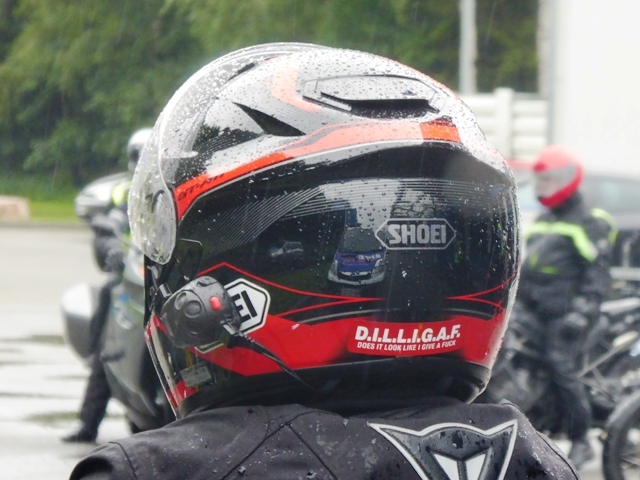 Spotted on Wendy’s crash helmet! 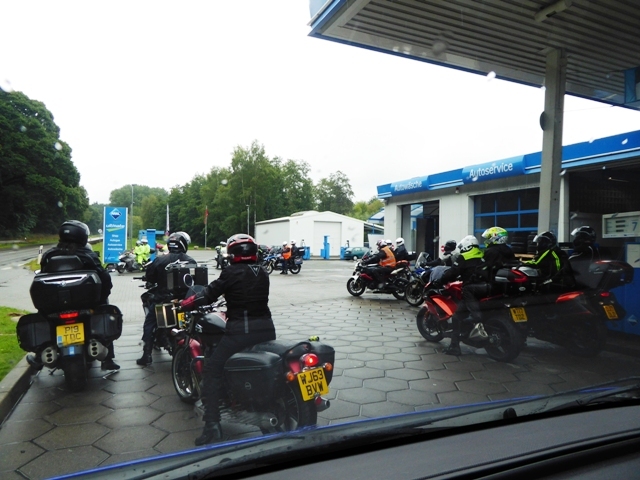 Fuel in a rainy afternoon! 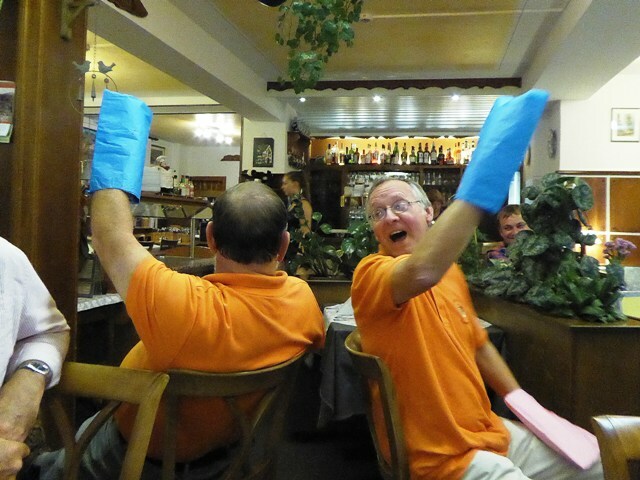 “Me and Harvey (Chris) are still on a high from the amazing trip! 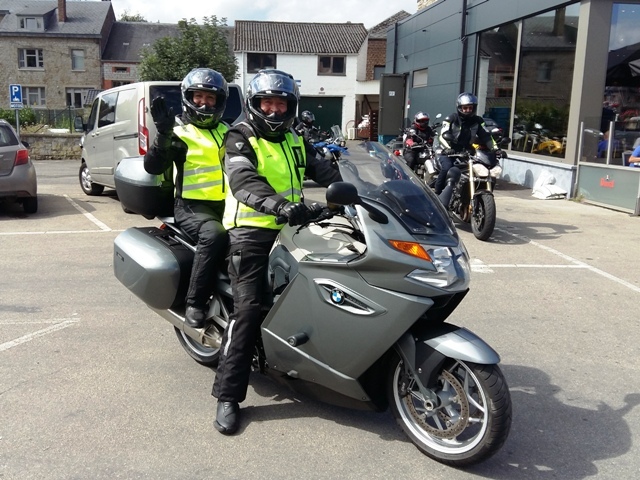 We have told everyone that will listen all about it and have even recommended you guys to some friends that are looking at touring! 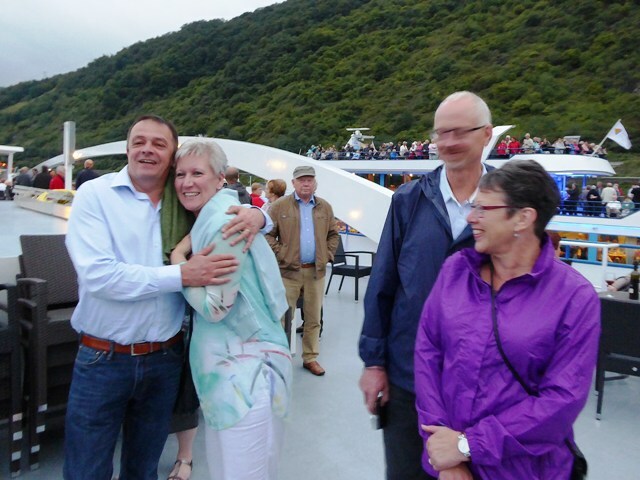 We were both a bit apprehensive about our trip but from the minute we met you guys that went away! 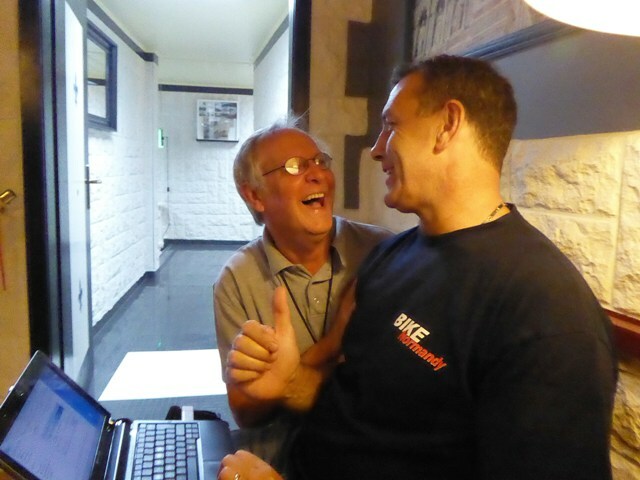 “Parker” & John having a laugh! 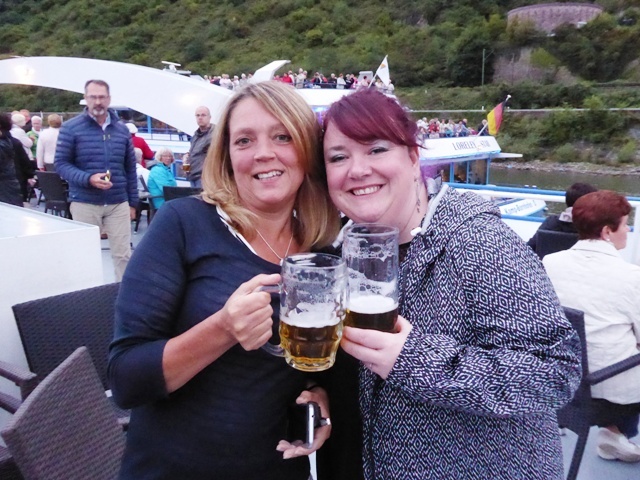 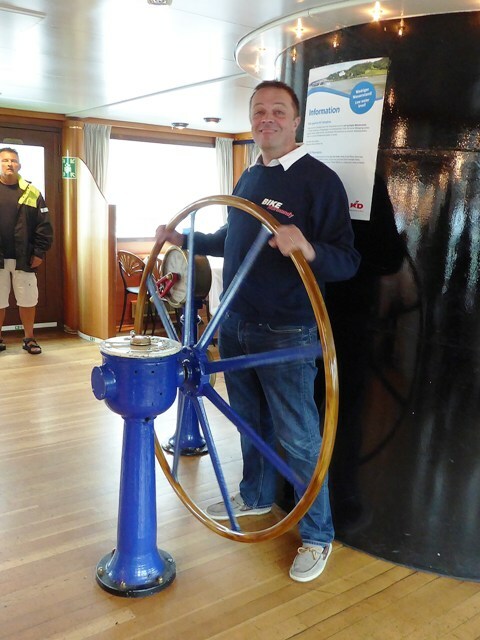 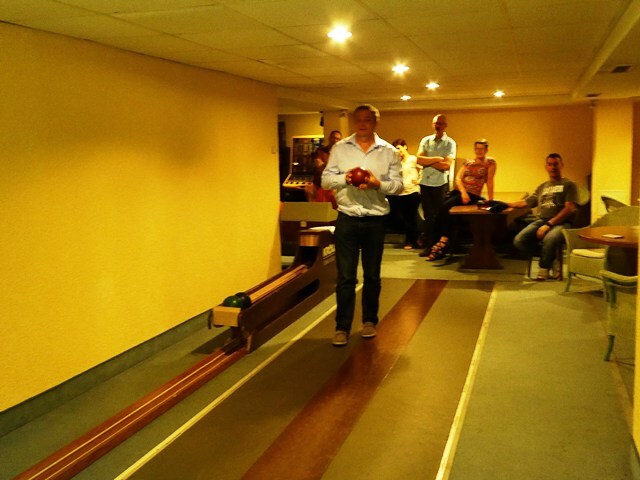 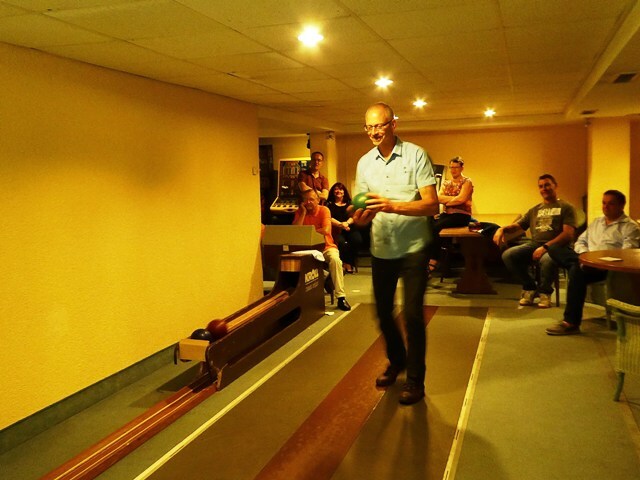 All on board – NO! 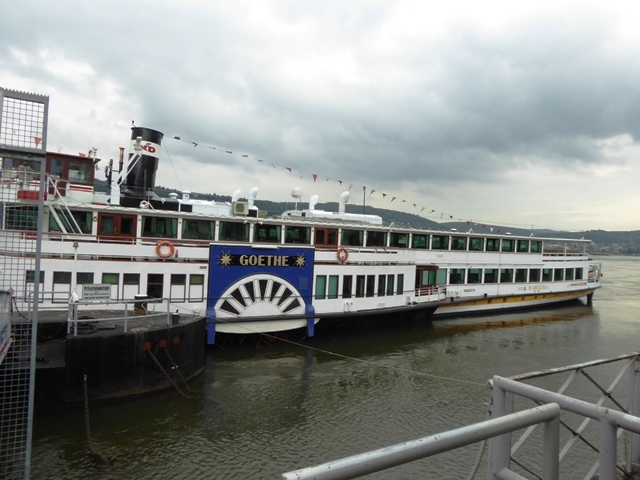 It’s the wrong boat! 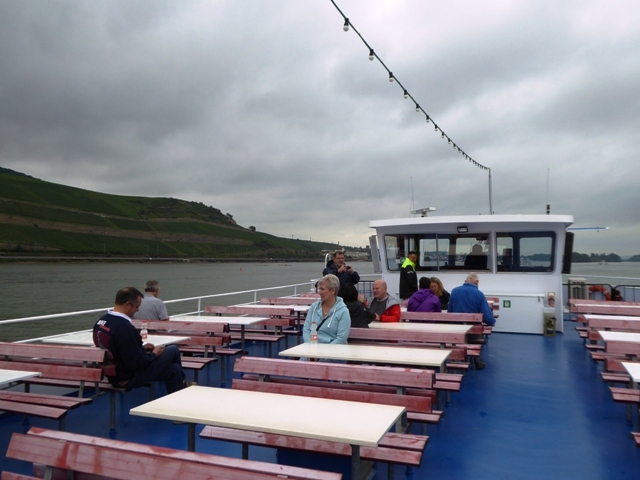 We get on the right ferry! 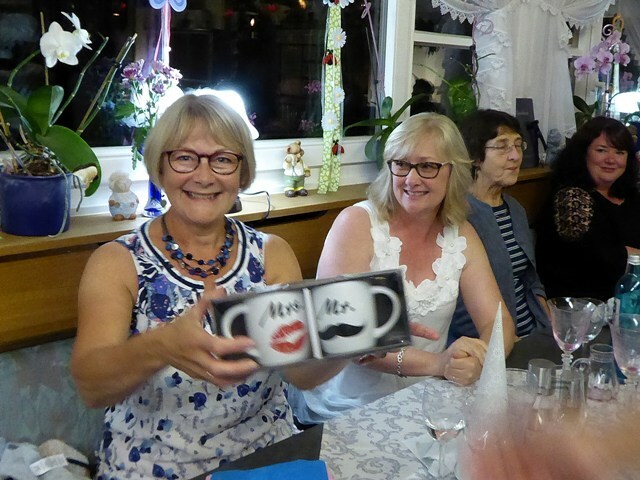 Vernon wears a cream moustache! 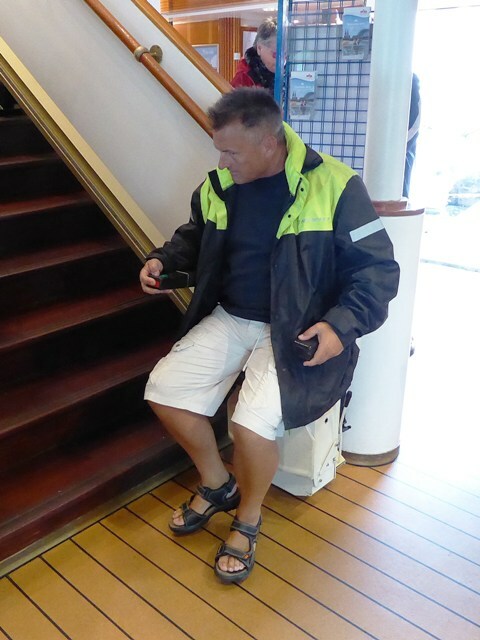 Mike wants to use the stairlift! 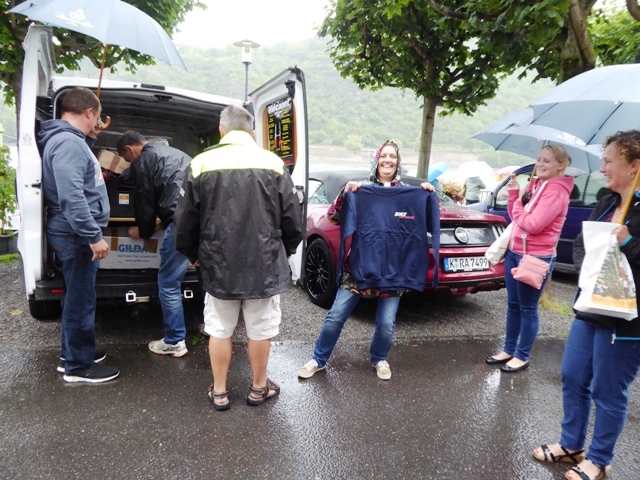 BN Sweatshirt shop is open! 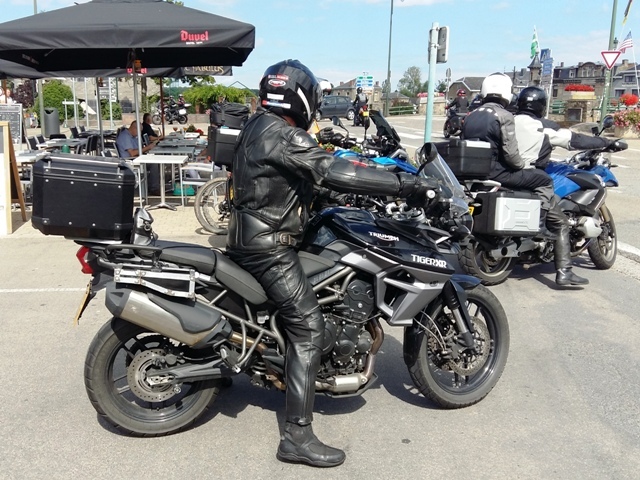 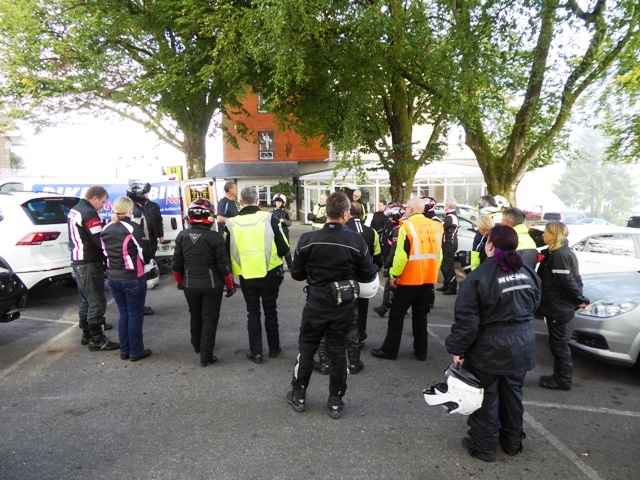 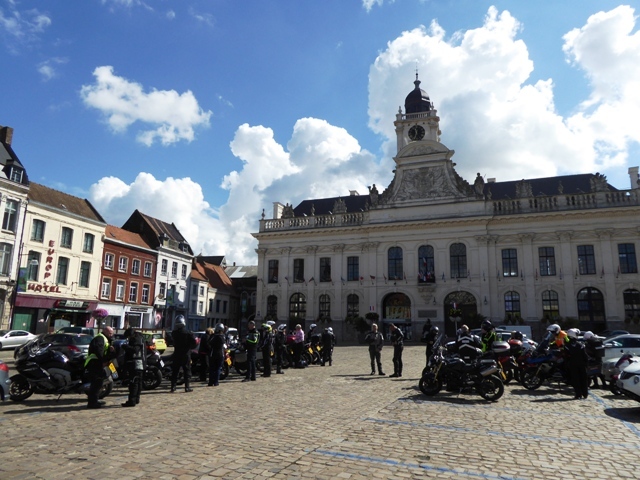 The next day some go for a ride- out.. 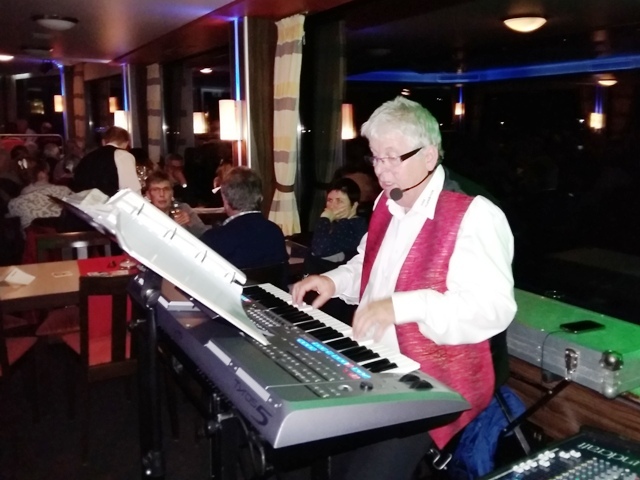 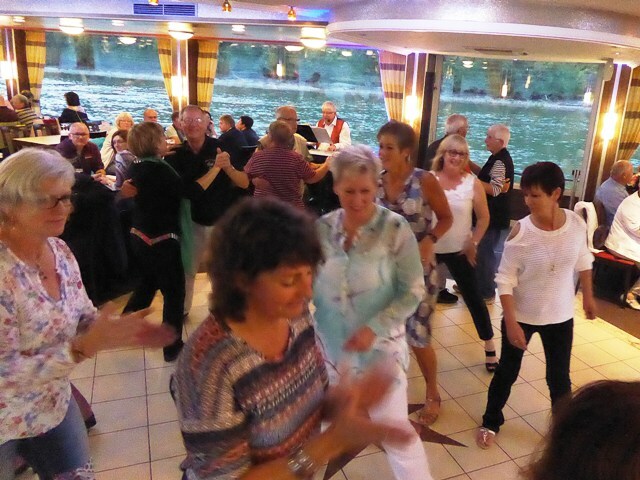 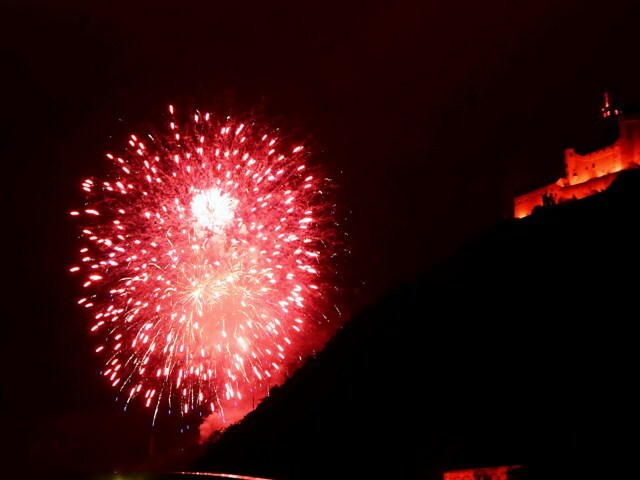 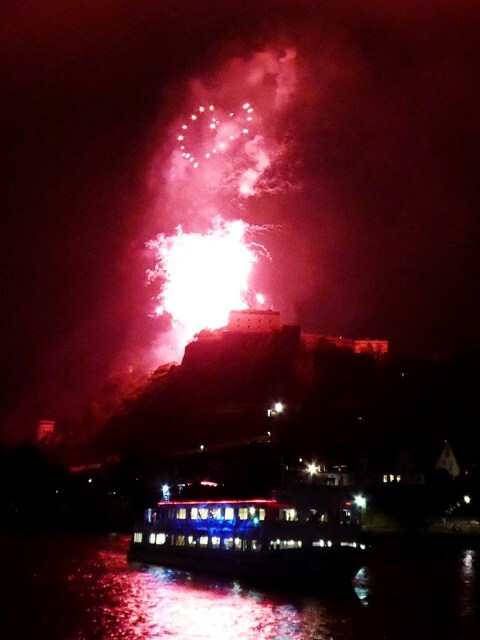 This evening is the main event – the Rhine in Flames! 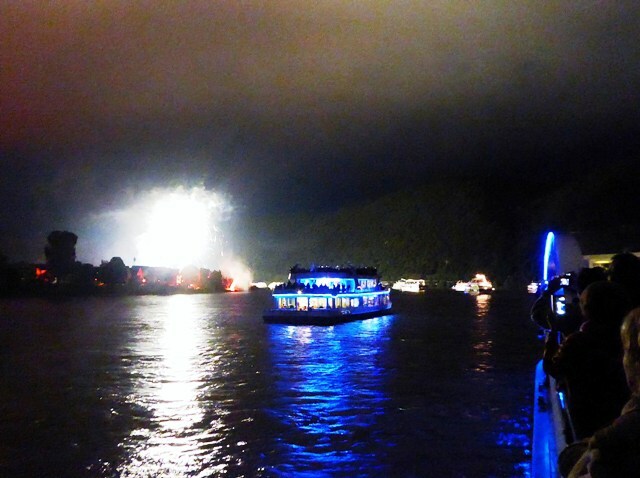 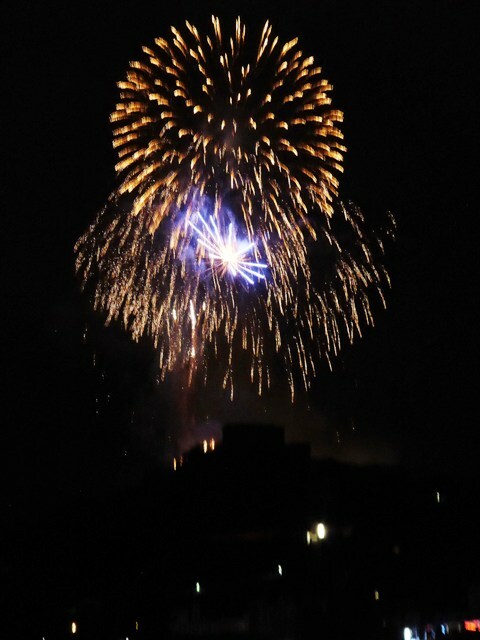 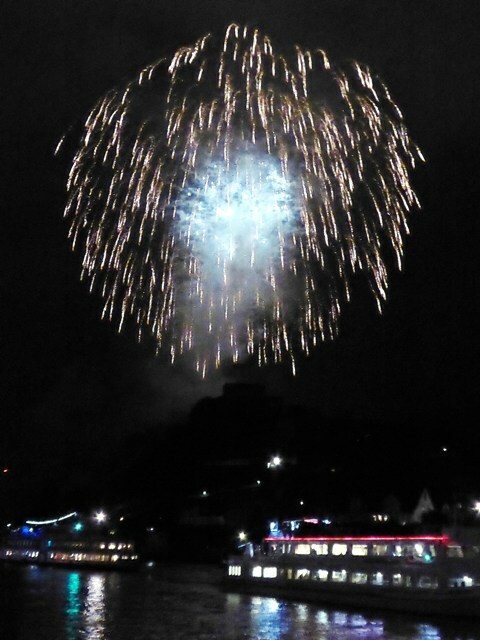 We board our boat for dinner, dancing & the firework spectacle! 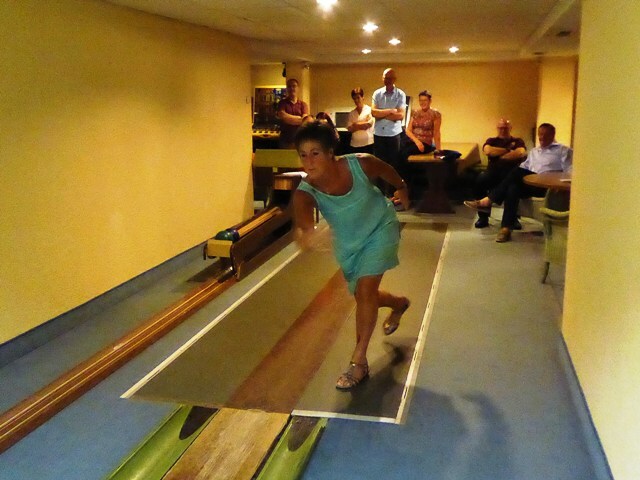 Tracey thinks she’s found Bruno Mars! 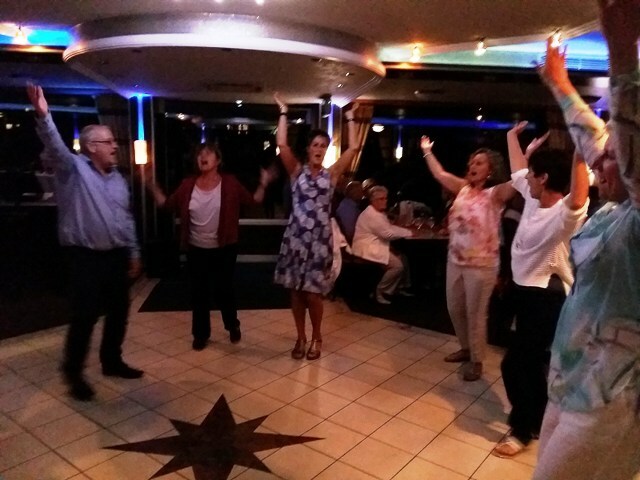 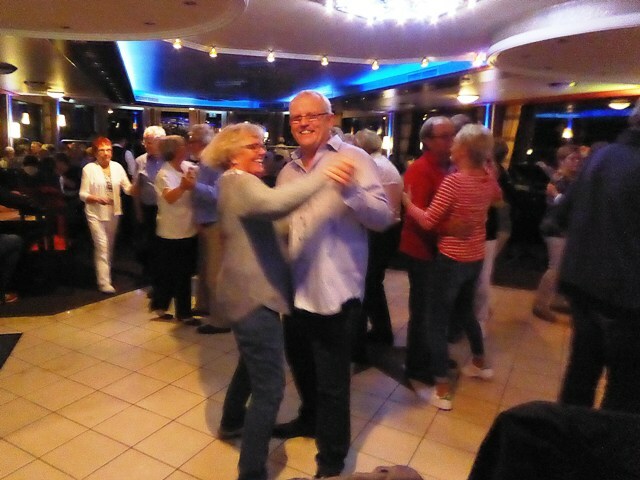 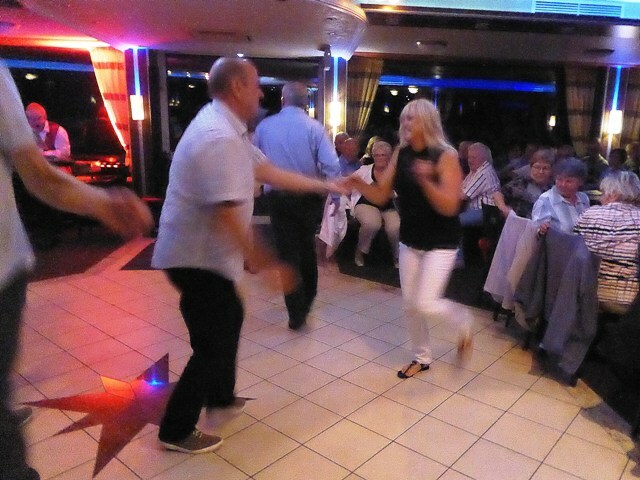 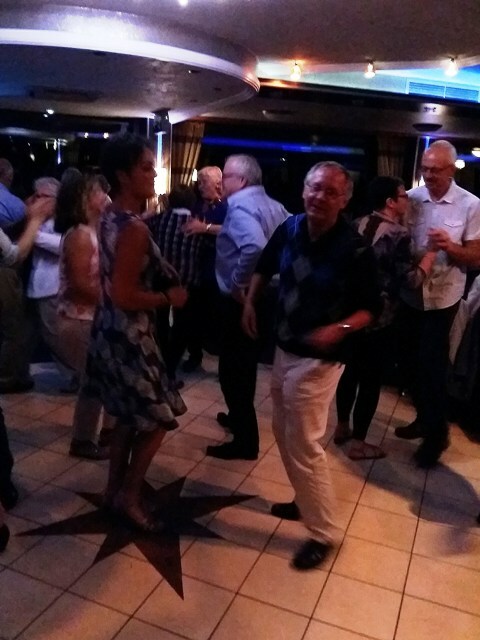 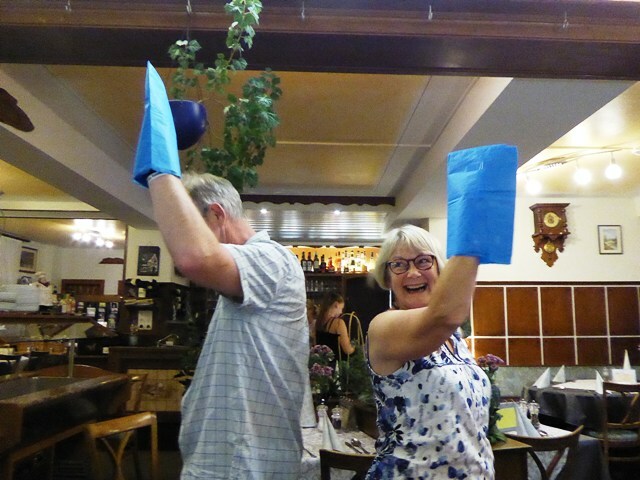 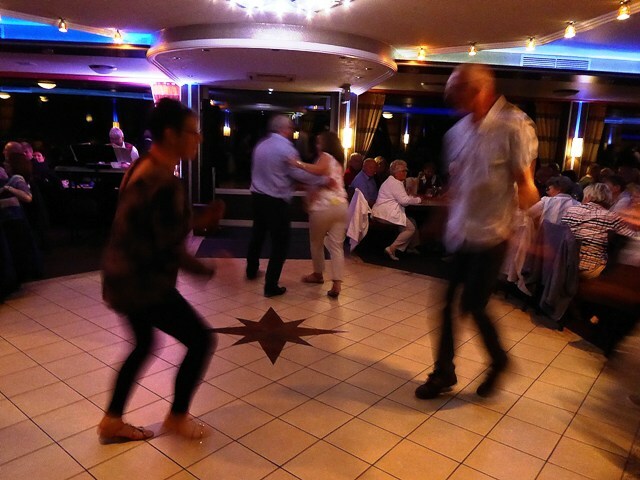 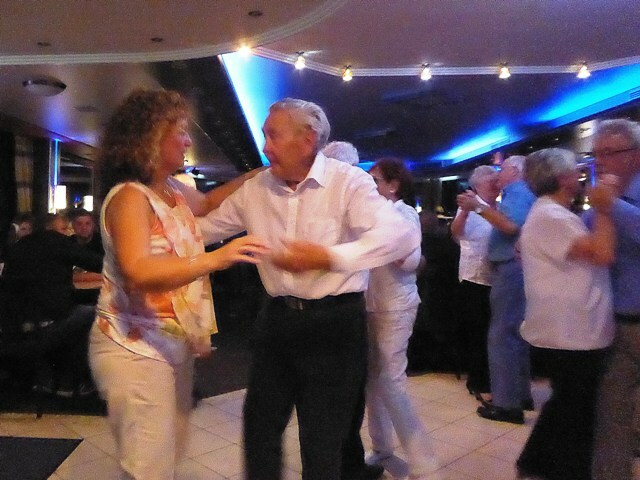 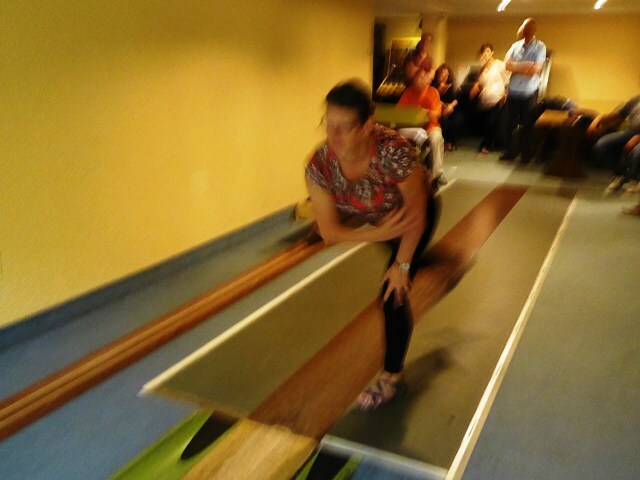 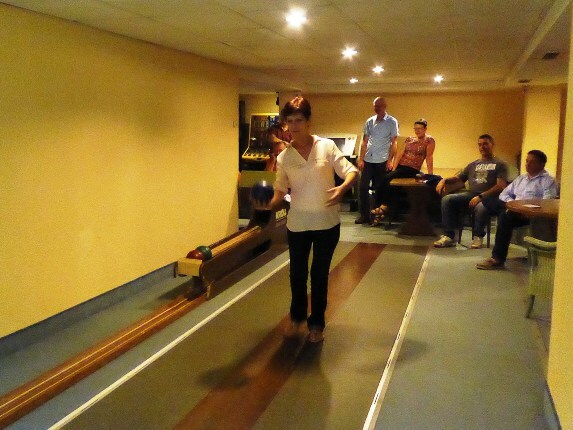 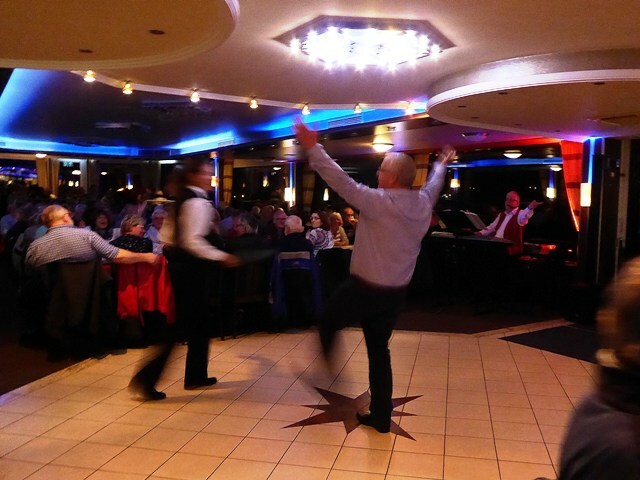 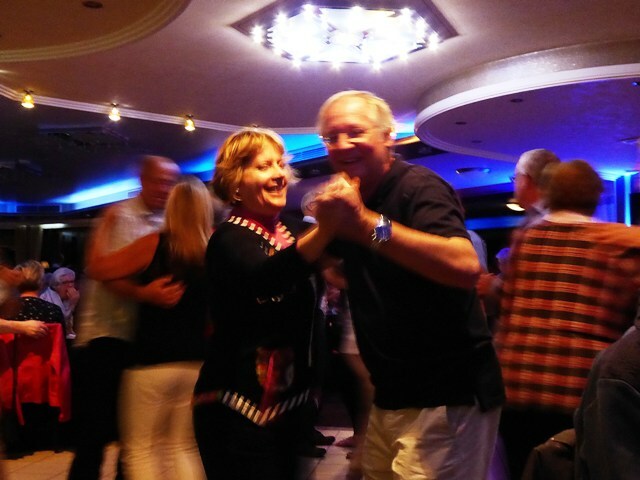 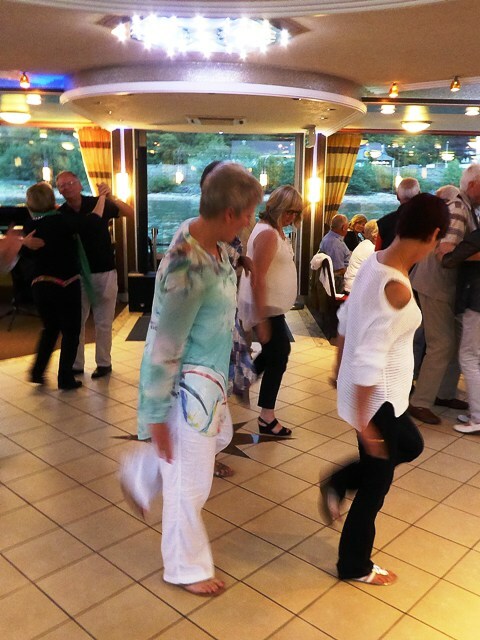 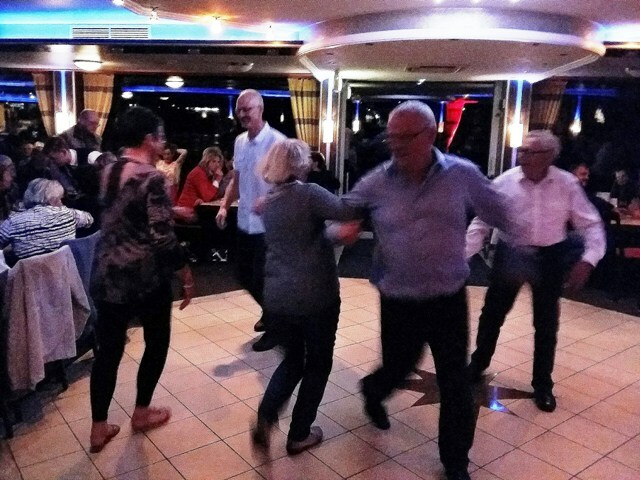 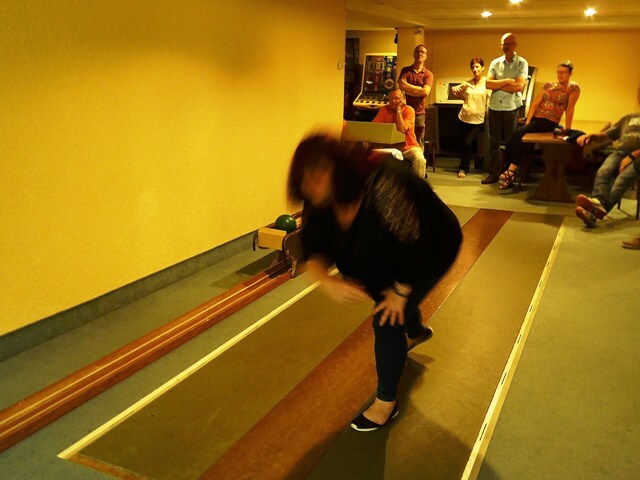 Jen teaches the “Wigan Slosh”! 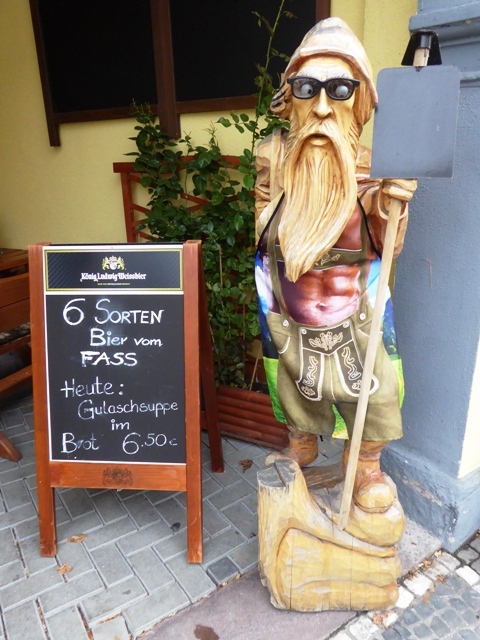 Some Germans try to upstage us!! 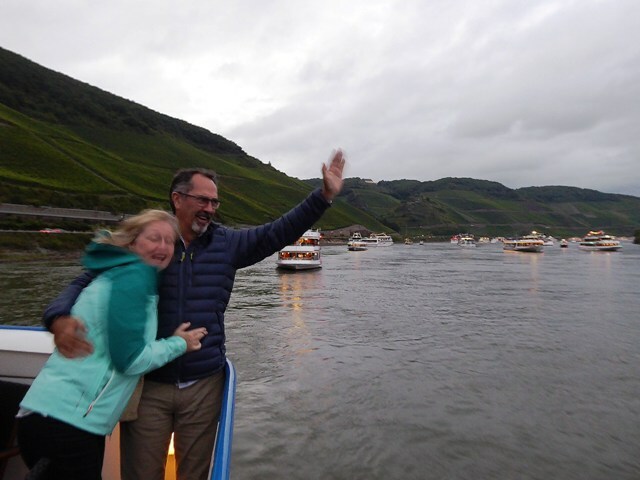 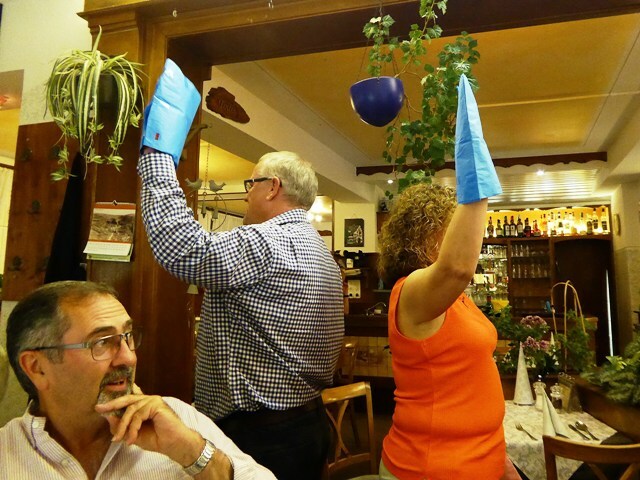 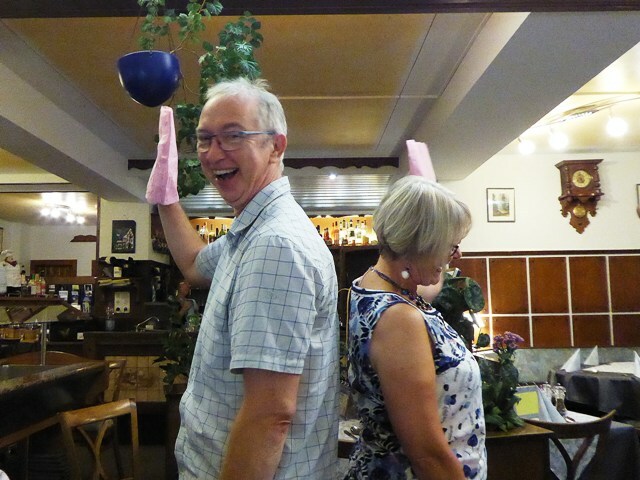 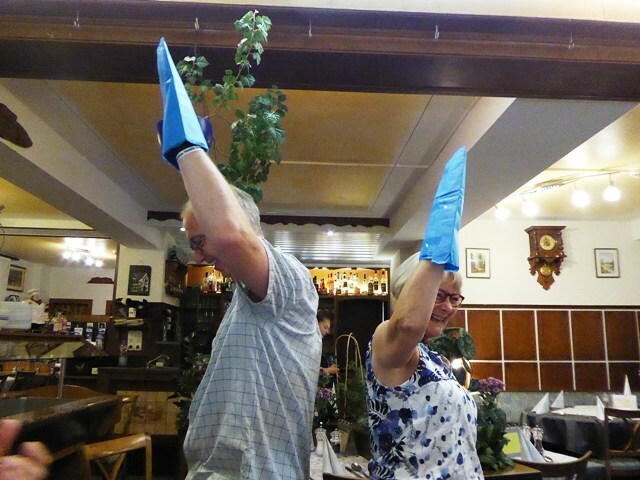 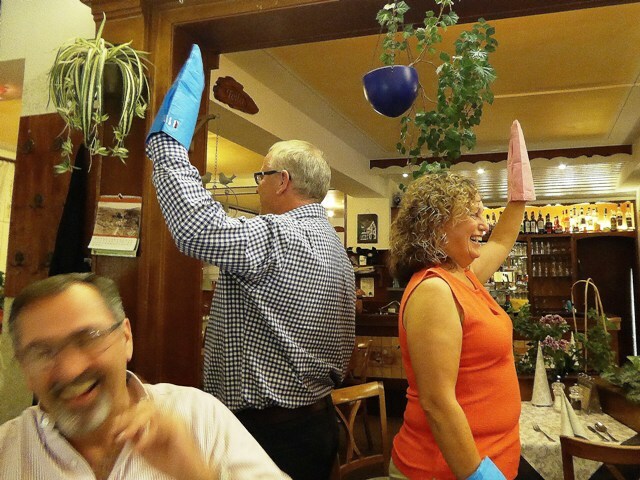 Noel & Ann think they’re on the Titanic! 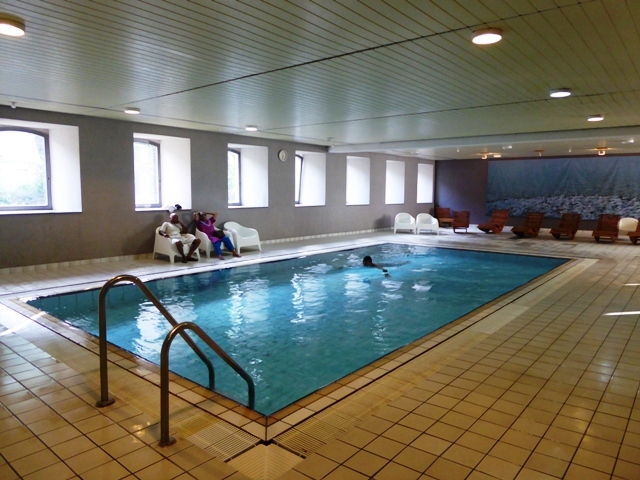 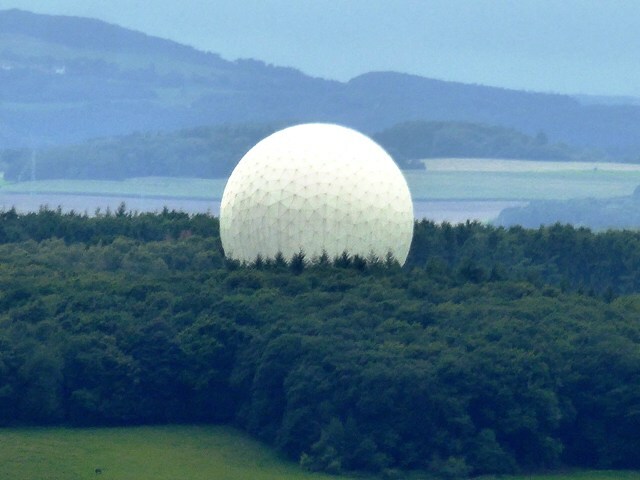 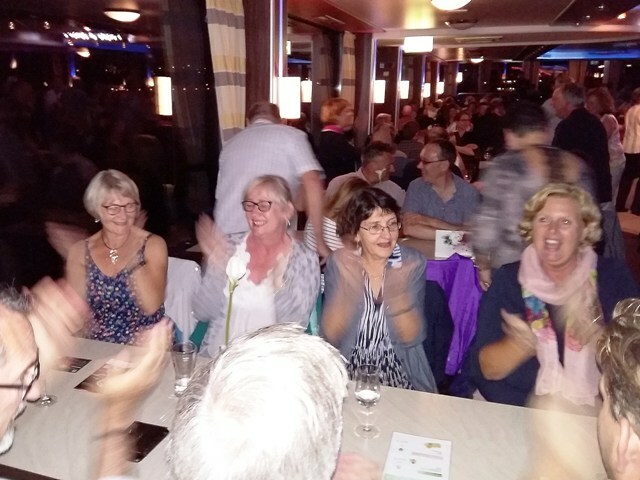 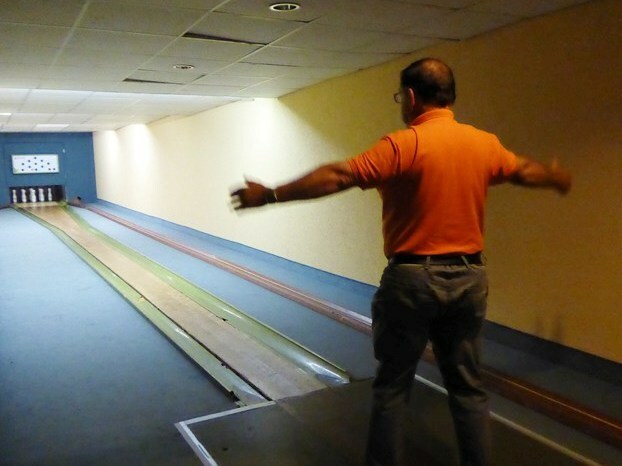 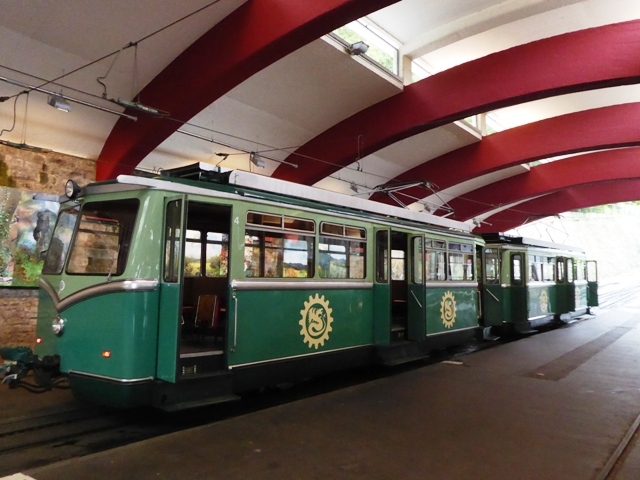 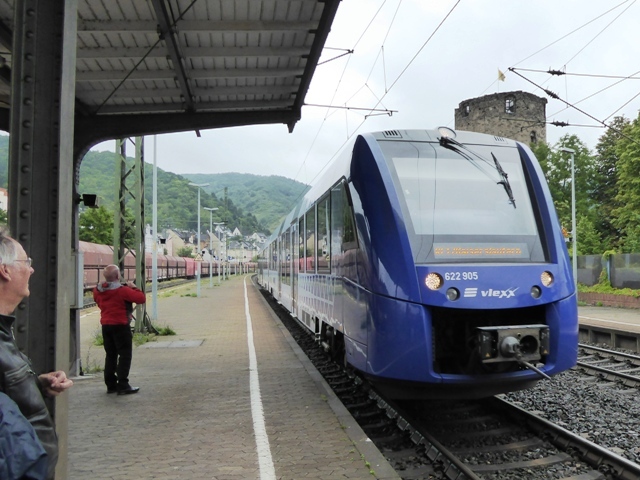 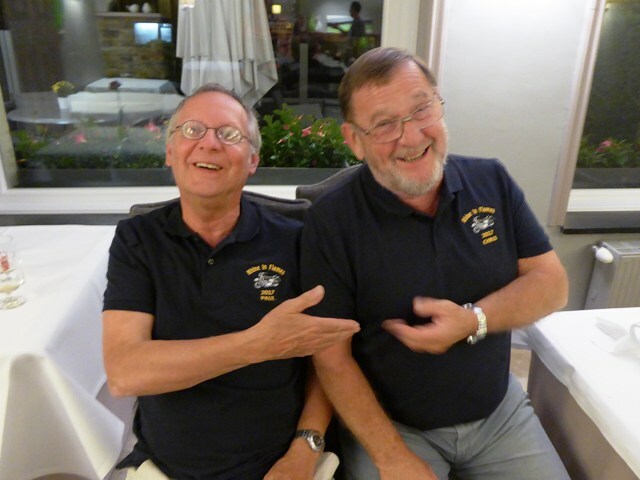 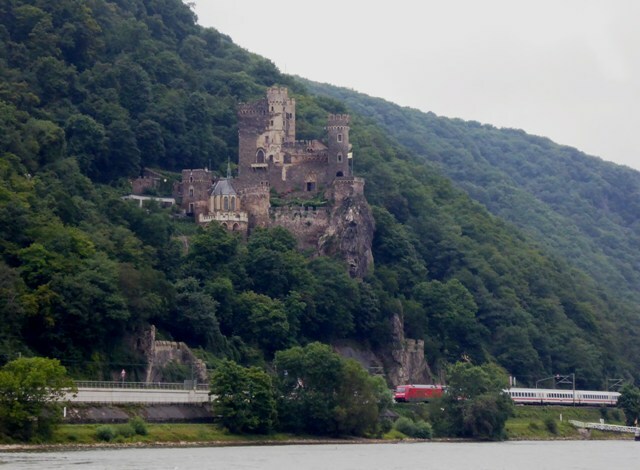 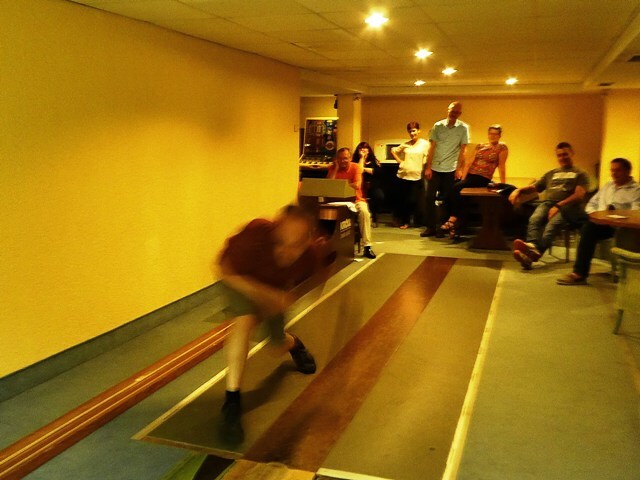 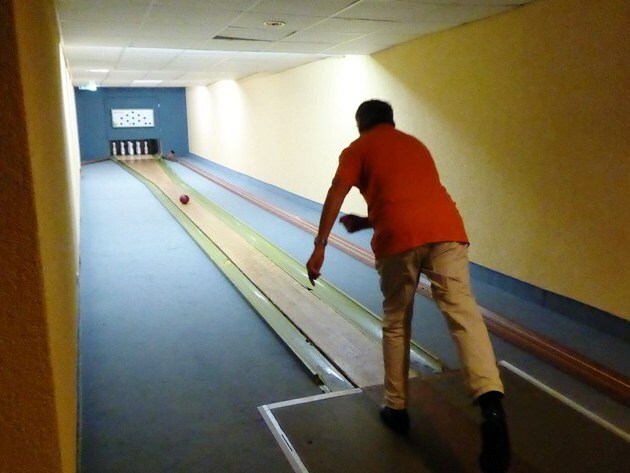 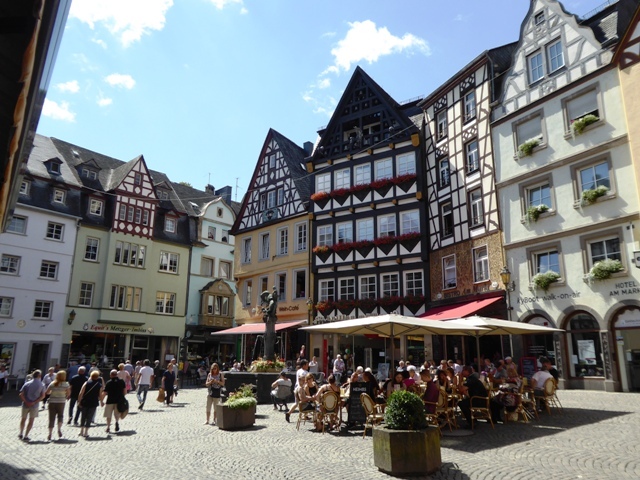 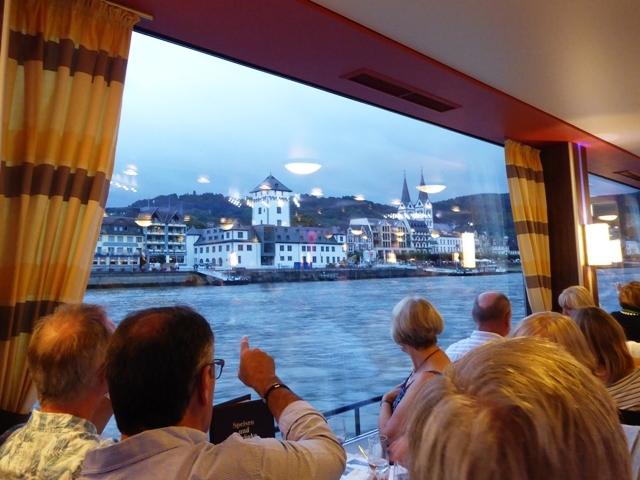 Amazing – but we’re not at Koblenz yet! 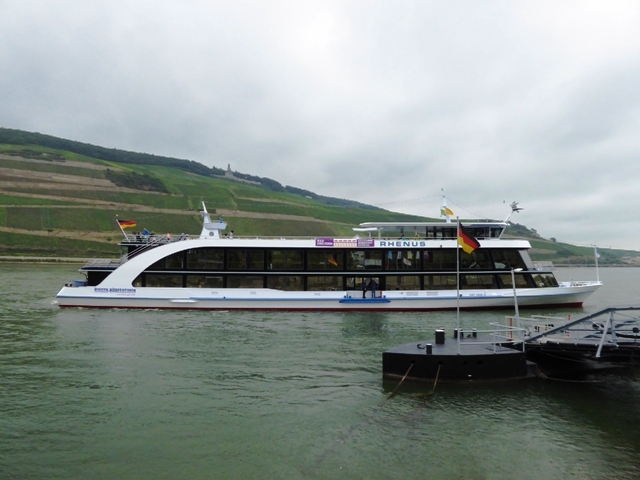 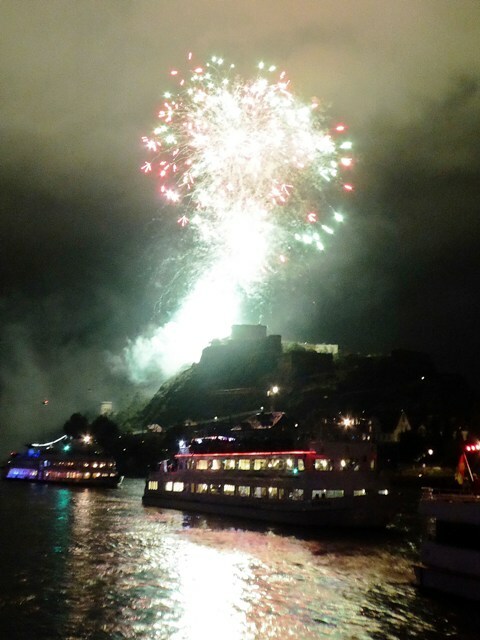 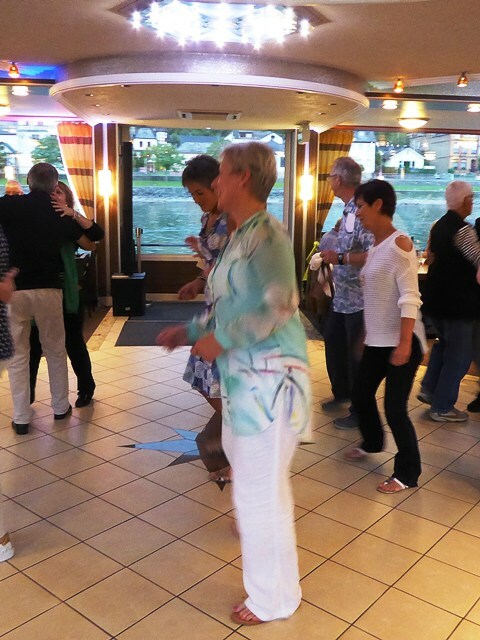 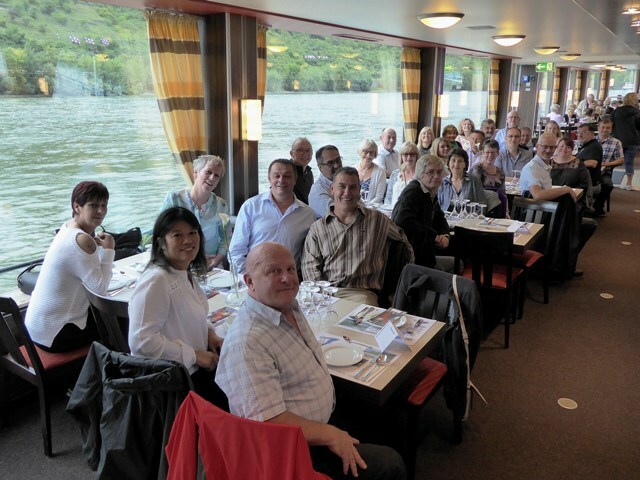 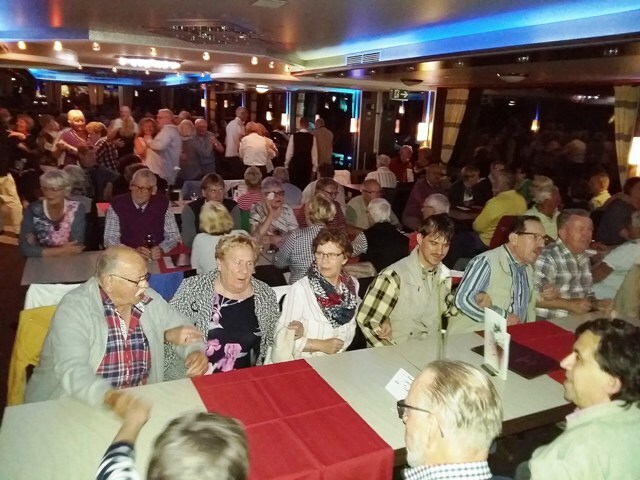 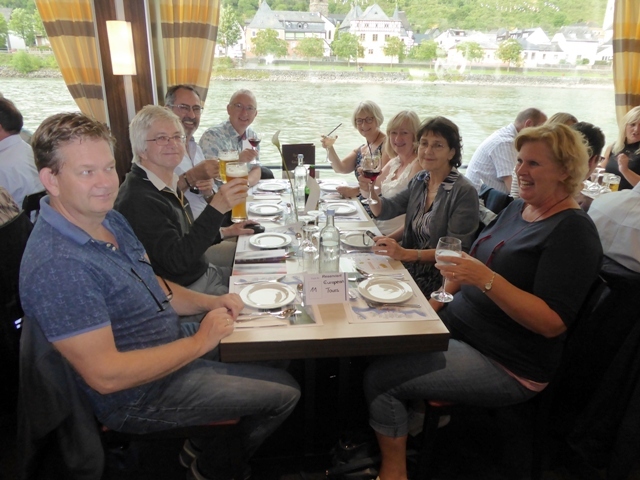 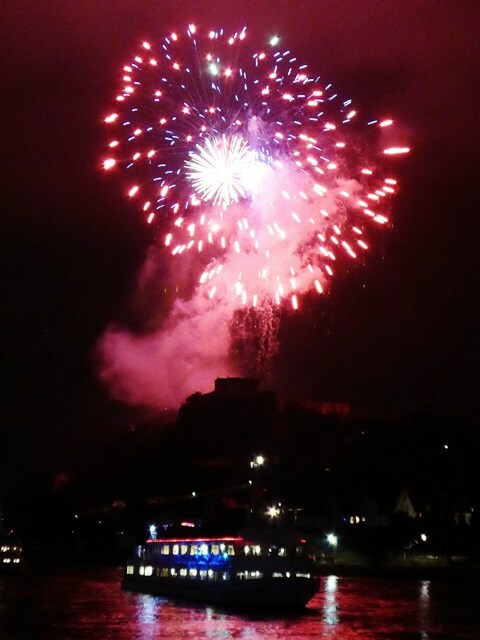 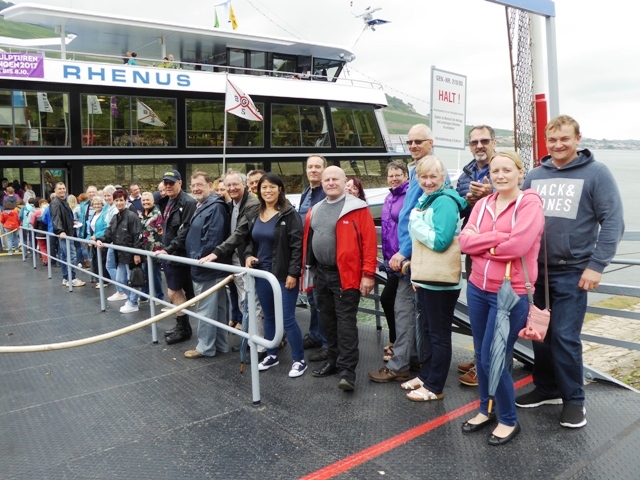 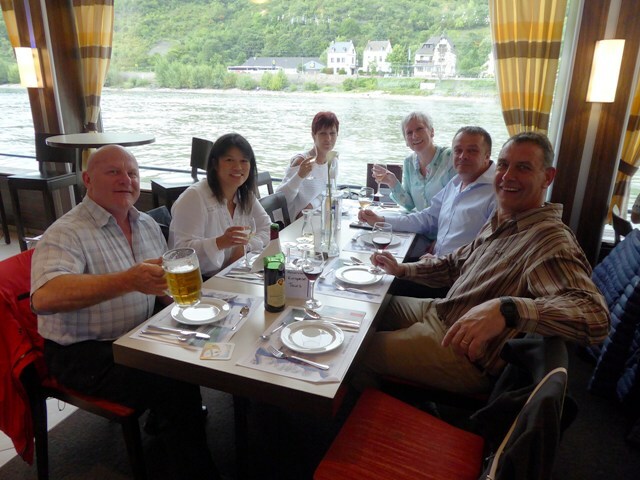 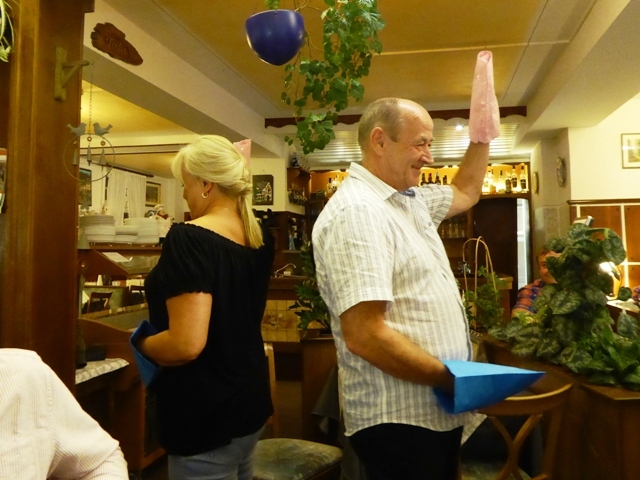 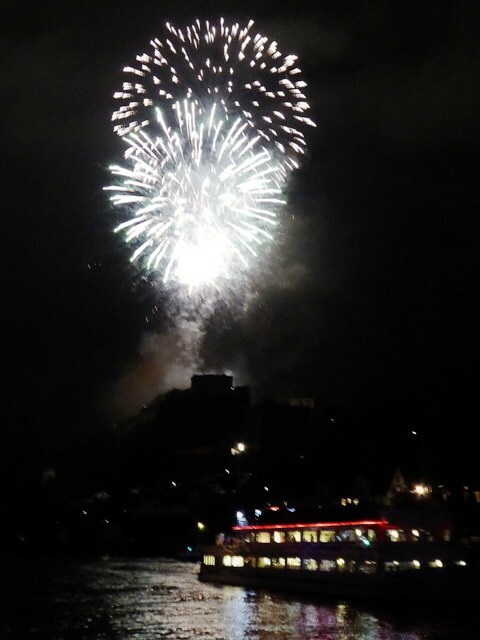 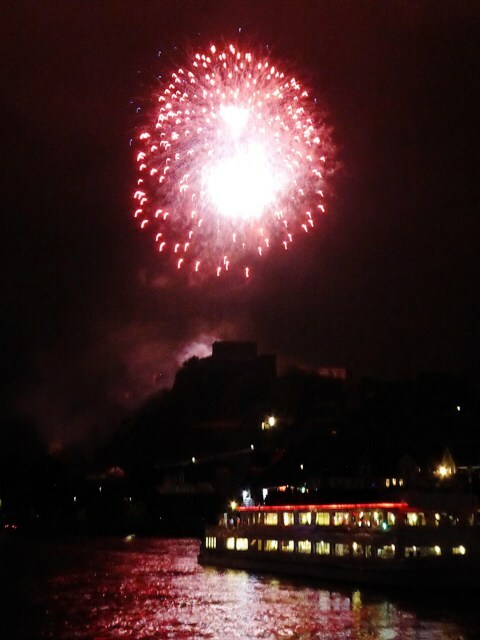 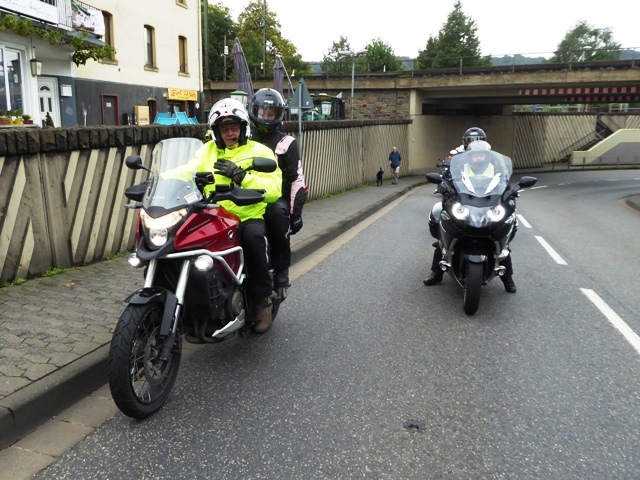 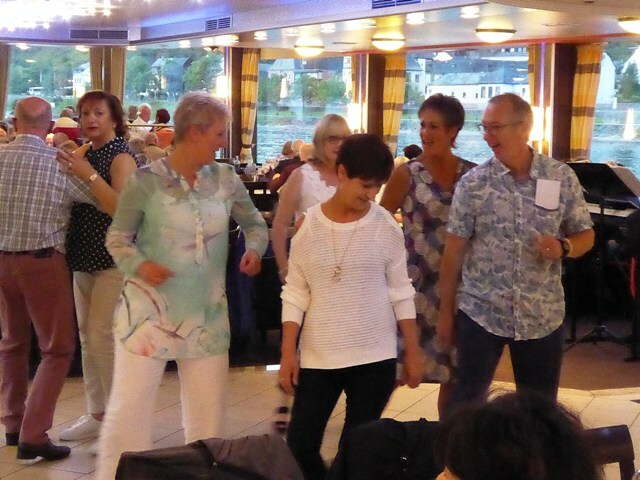 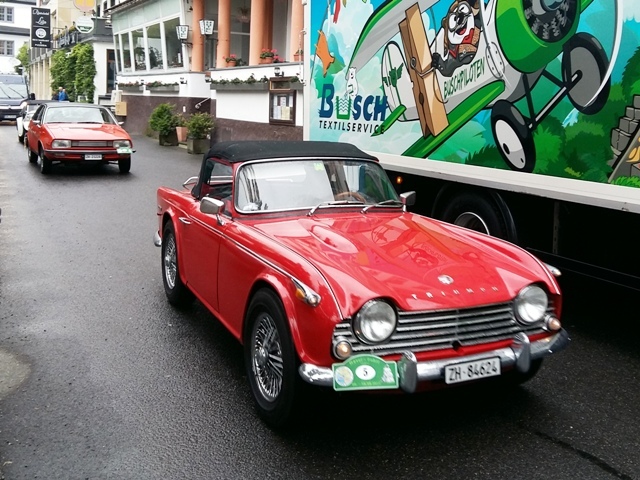 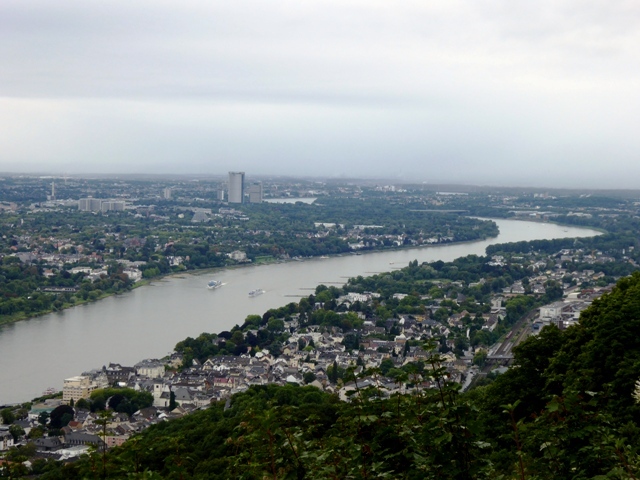 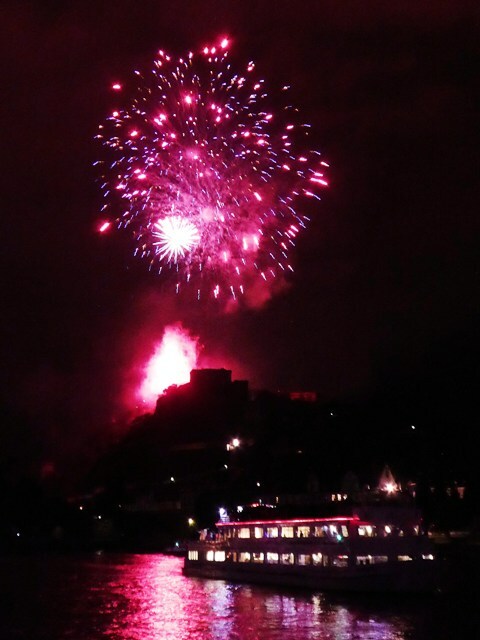 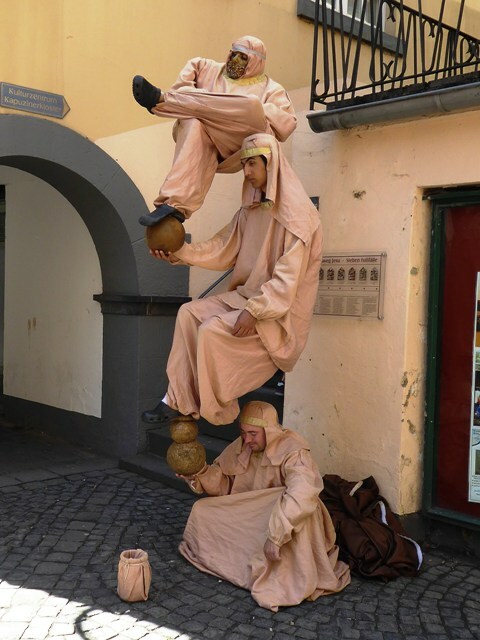 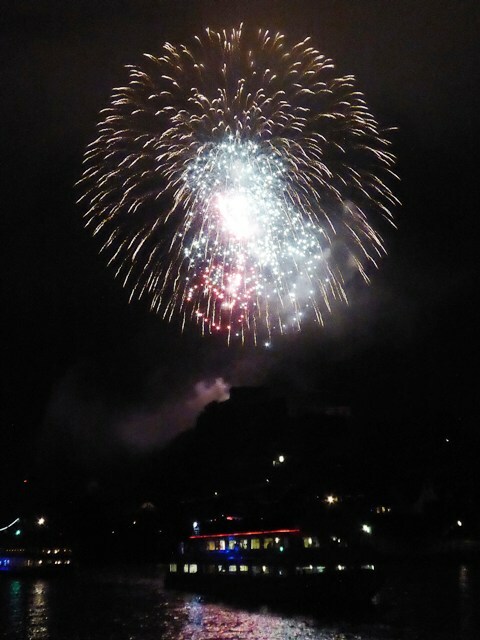 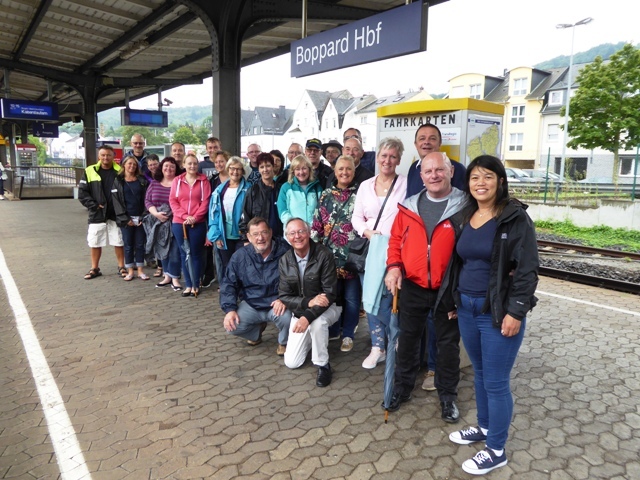 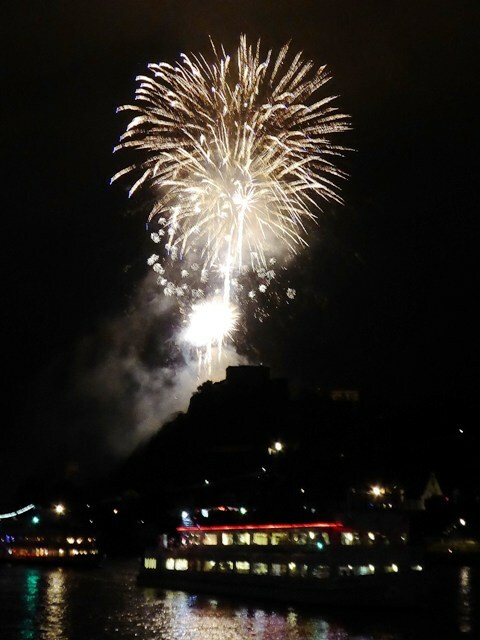 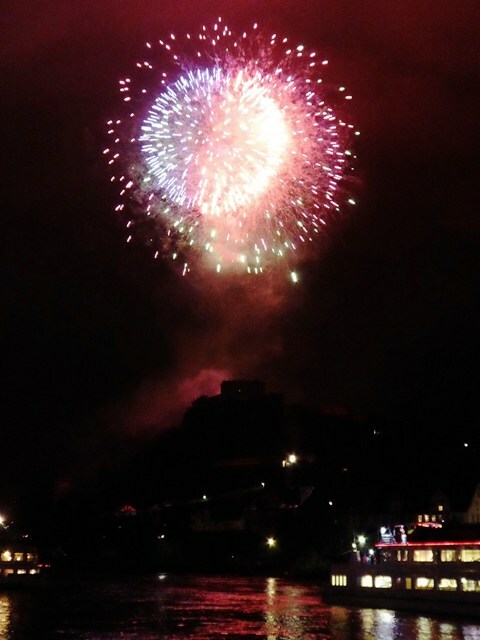 We arrive at Koblenz – a spectacular display! 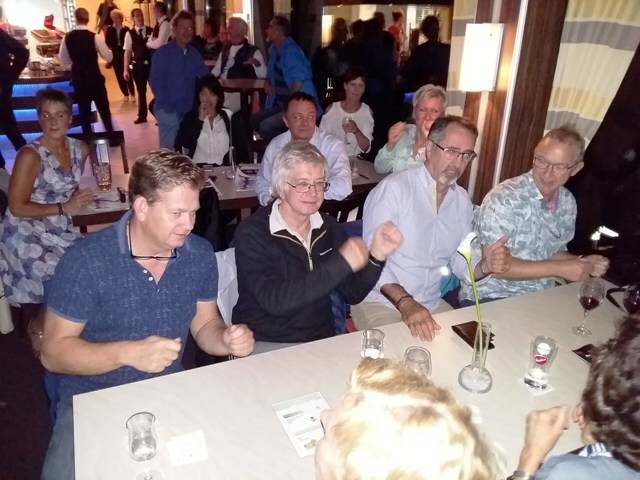 German “um pah pah” music! 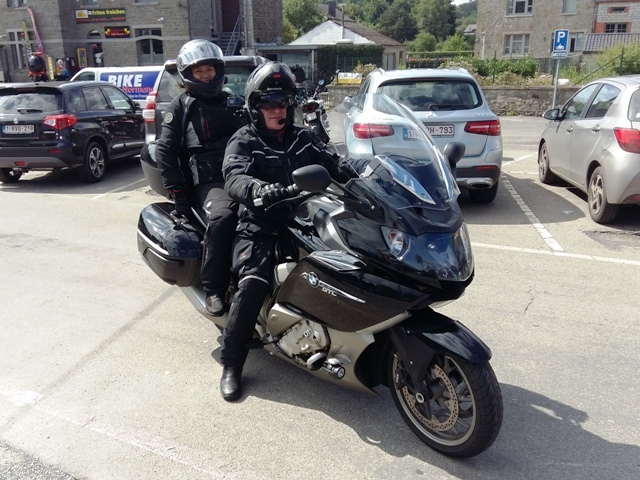 Andy picks up a local!! 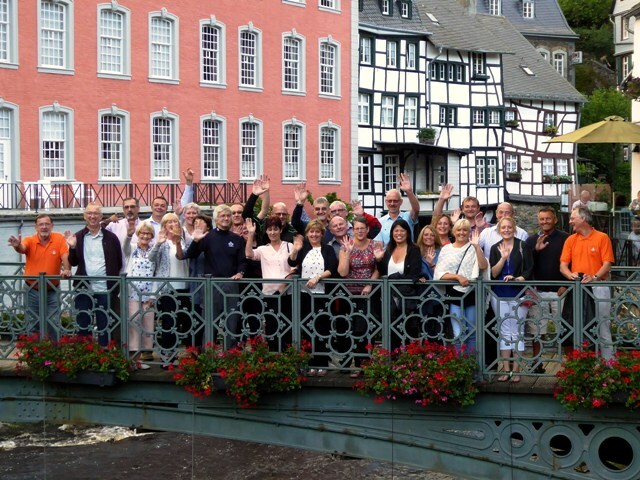 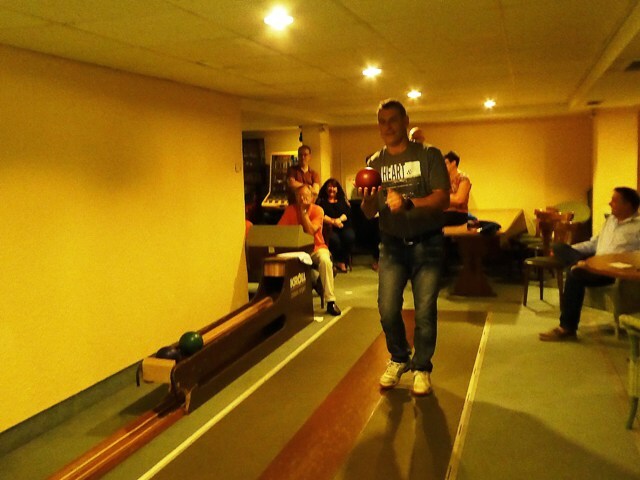 The next day – sunshine! 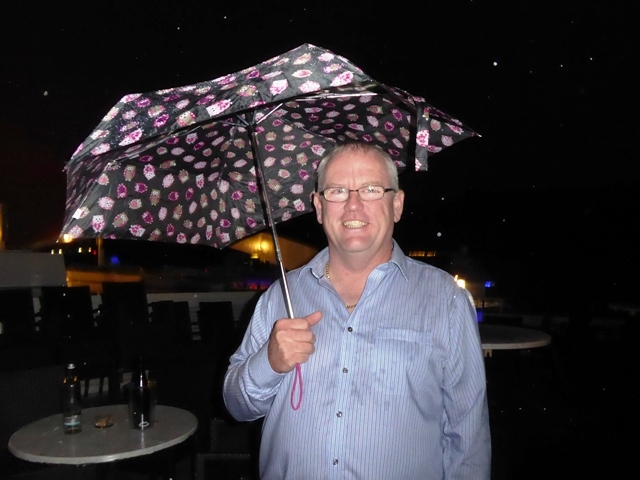 No Wayne – that’s not an option!!! 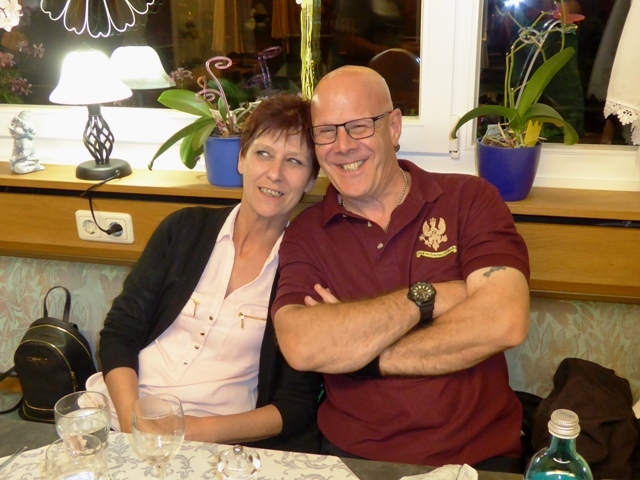 And just for fun…Chris & “Parker”!! 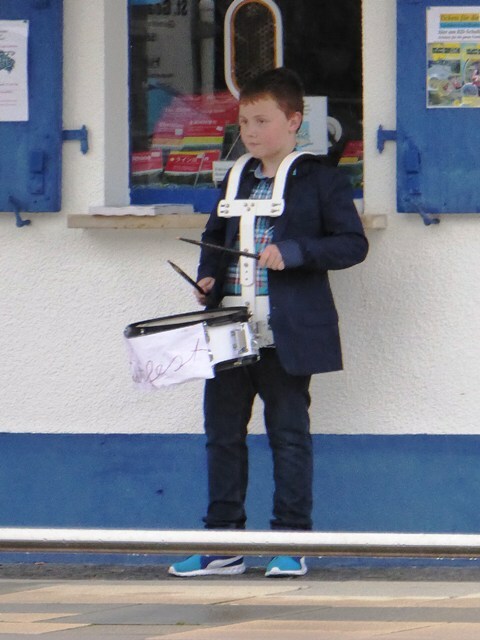 Come on “Parker” – make a decision!! 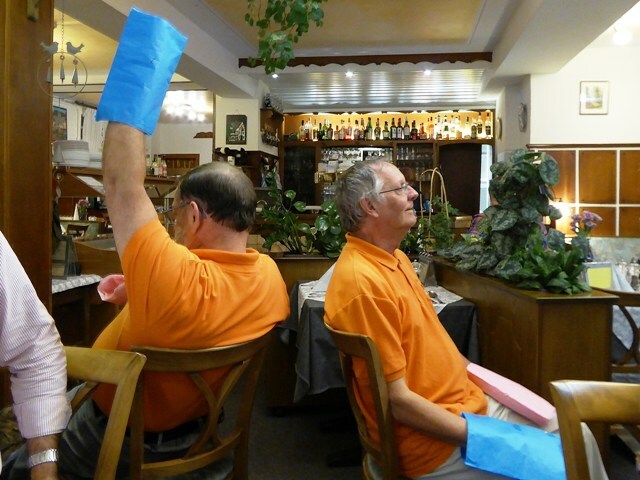 Amazing – it’s a match!! 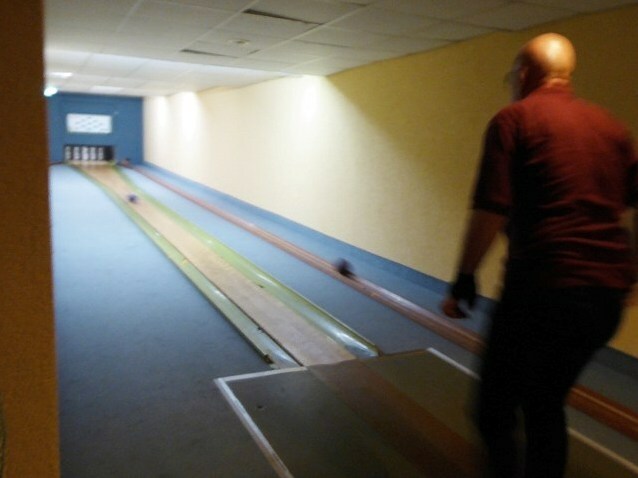 The photo of Rees is as bad as his shots!!!!! 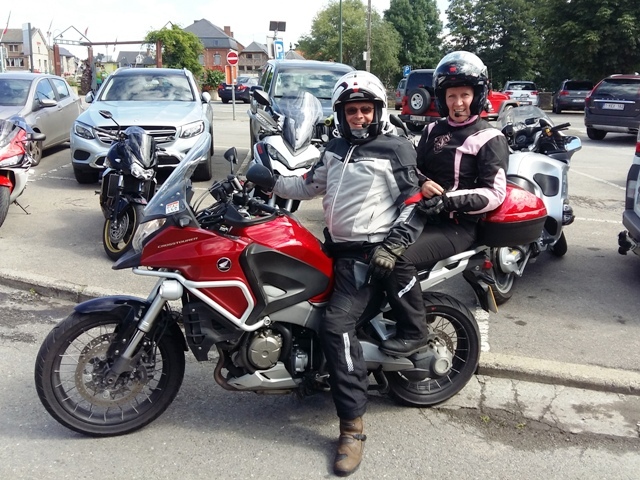 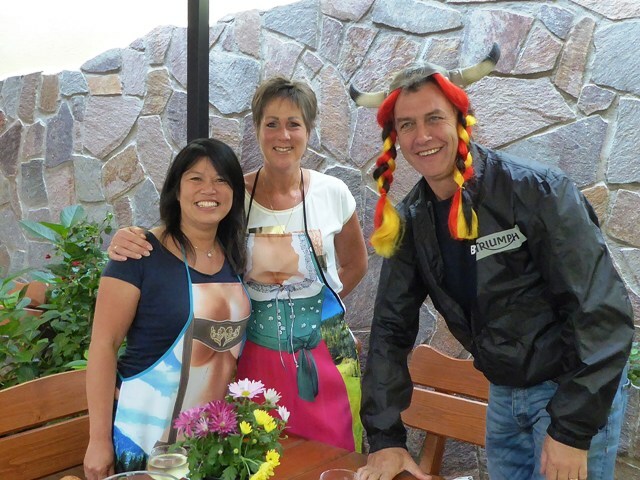 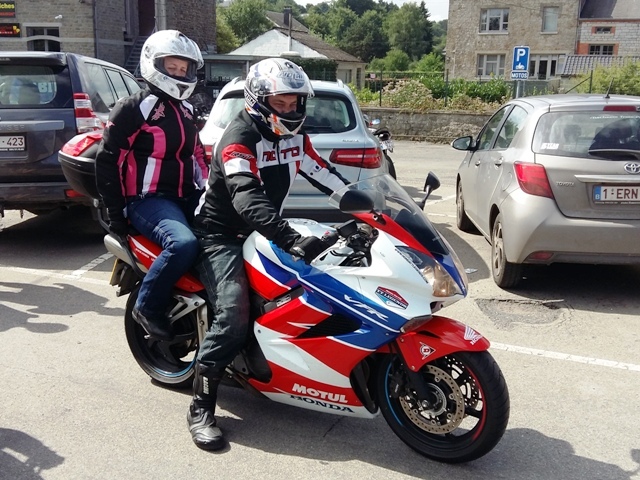 We’re missing a photo of Mike & Tracey on their Kawasaki Z1000SX (blame John!!) 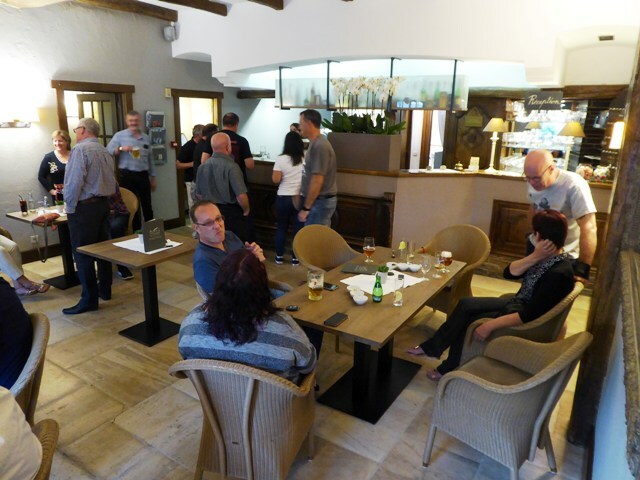 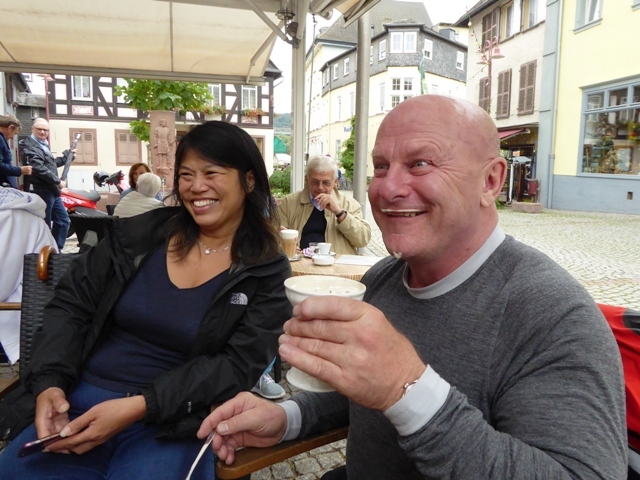 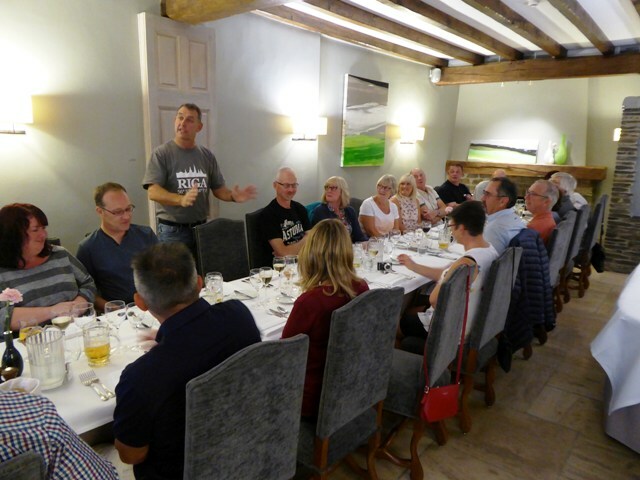 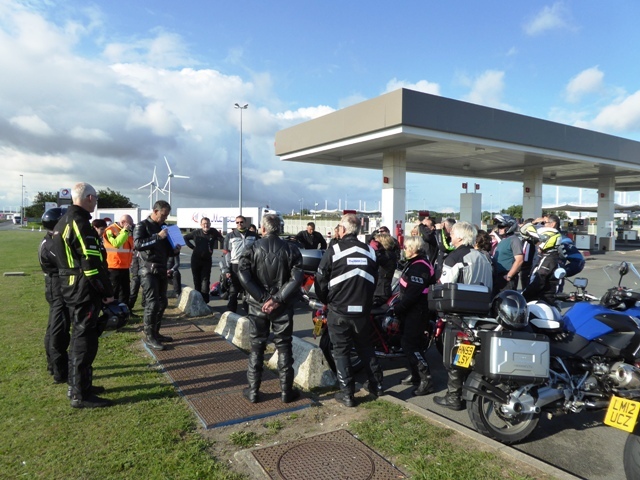 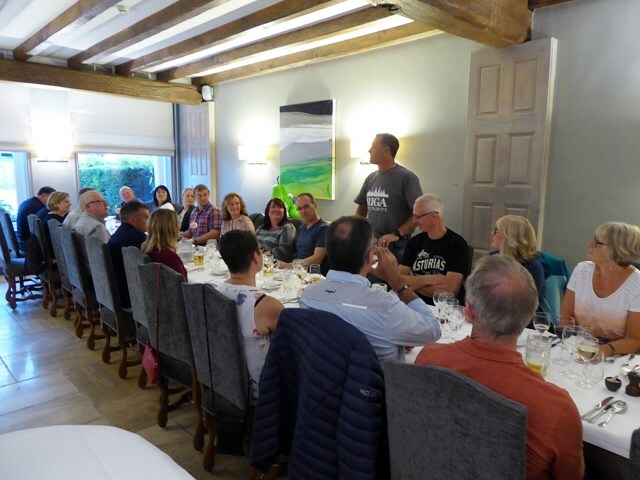 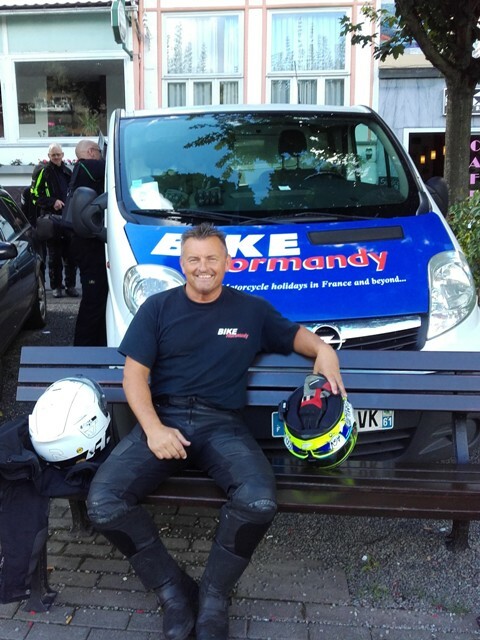 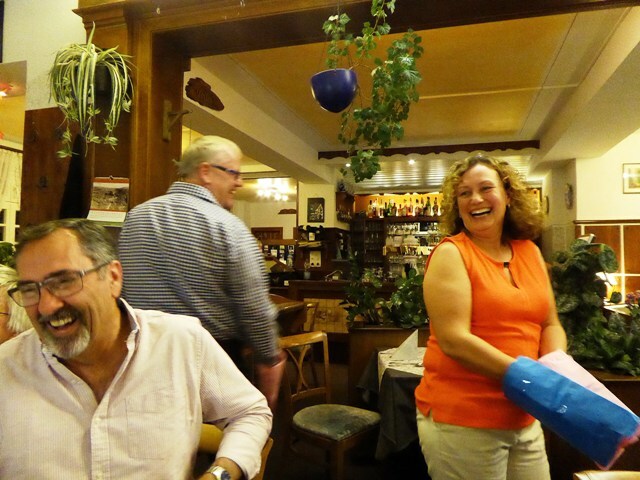 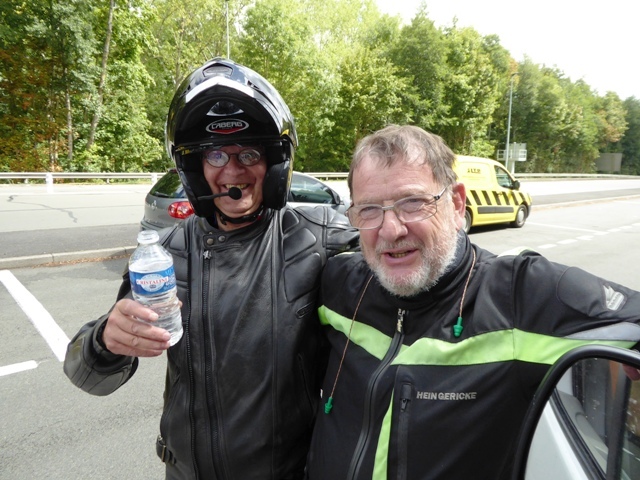 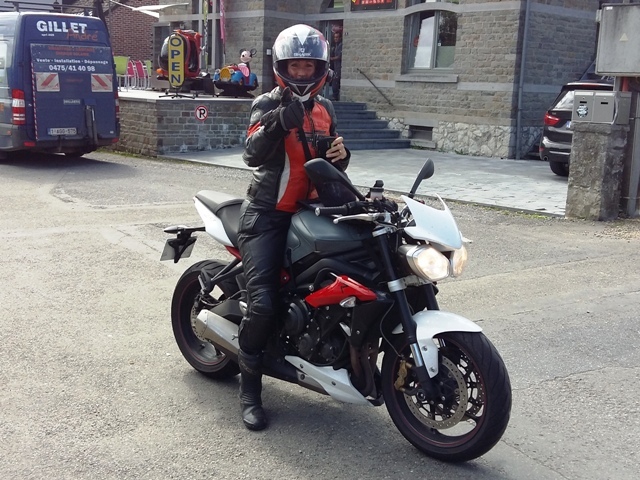 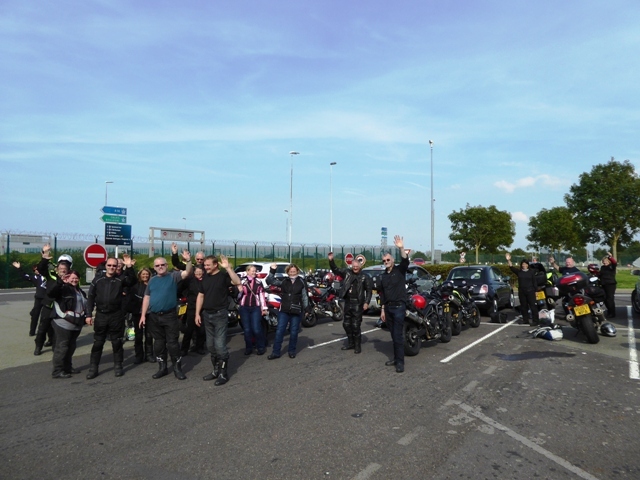 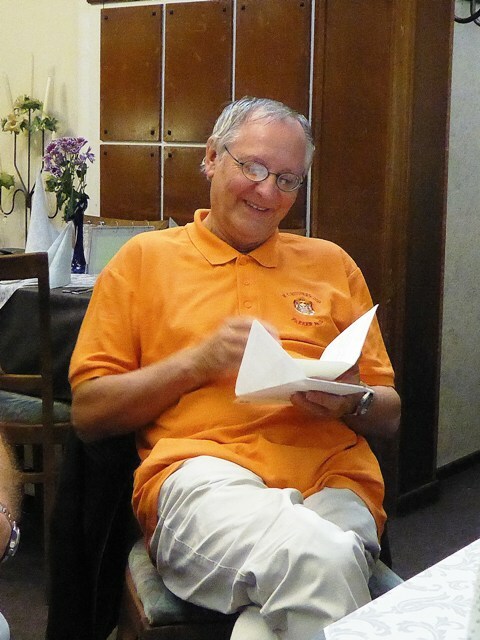 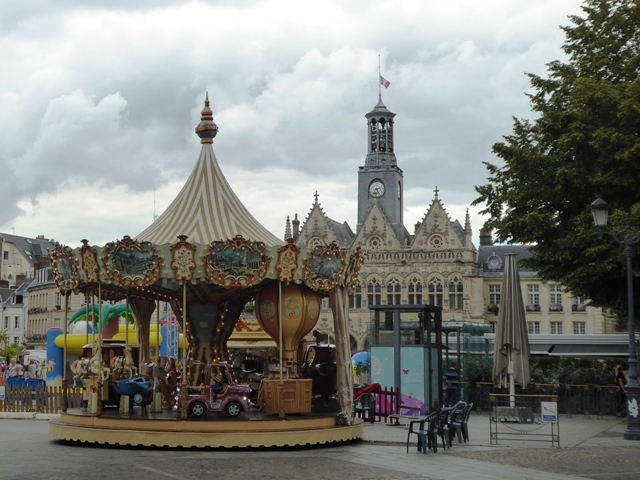 but thanks to Tracey we do have a photo of a happy Mike promoting Bike Normandy!